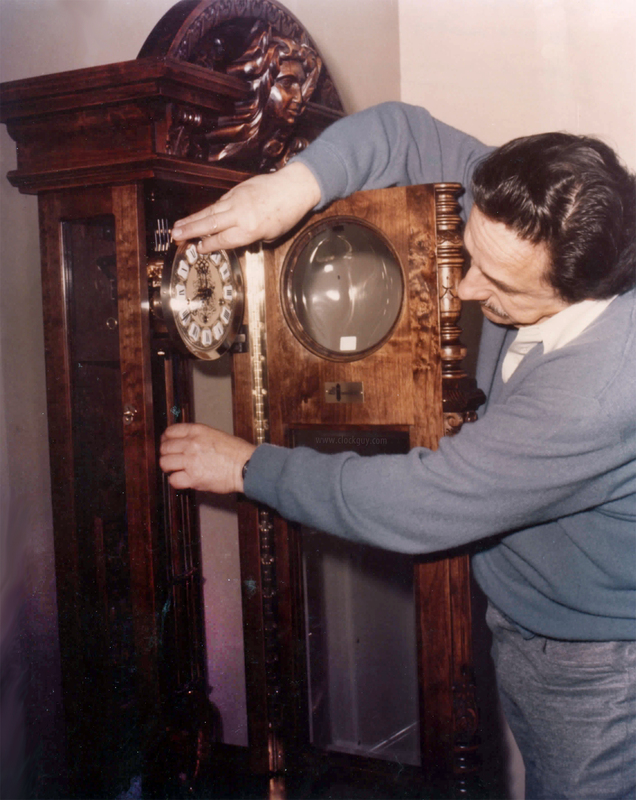 Clock Guy Note: Lou Gazo was the first "clock guy" I ever met, way back in 1971. 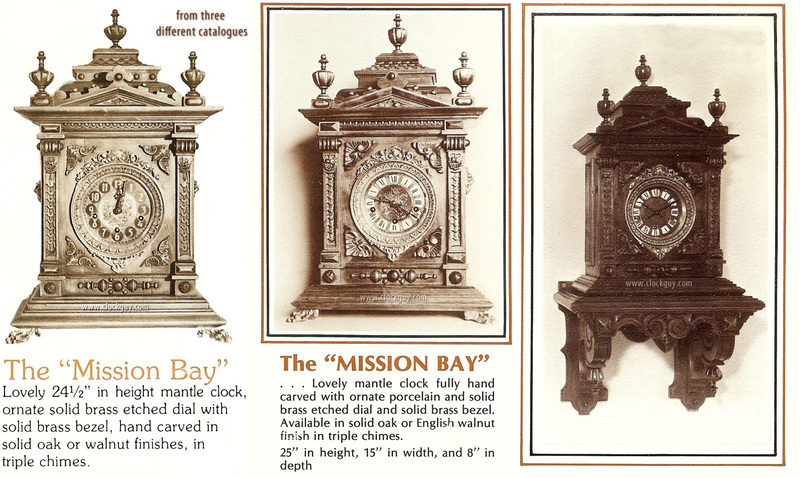 At the time he lived and worked in an old Victorian house at First and Grape Streets in the glide path of San Diego’s Lindbergh Field. 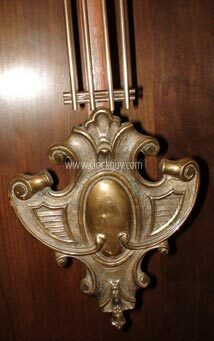 Every time a plane landed the whole house shook! 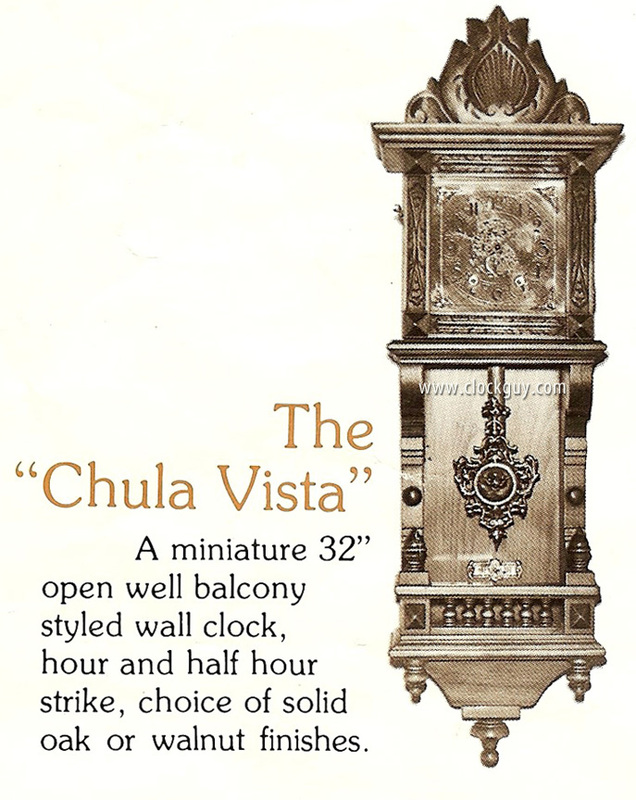 It was Lou who repaired some of the first clocks we purchased, including the big tallcase clock that still adorns the entry of our home in Vista, CA. 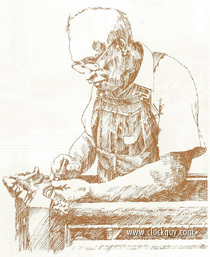 We have fond memories of him. 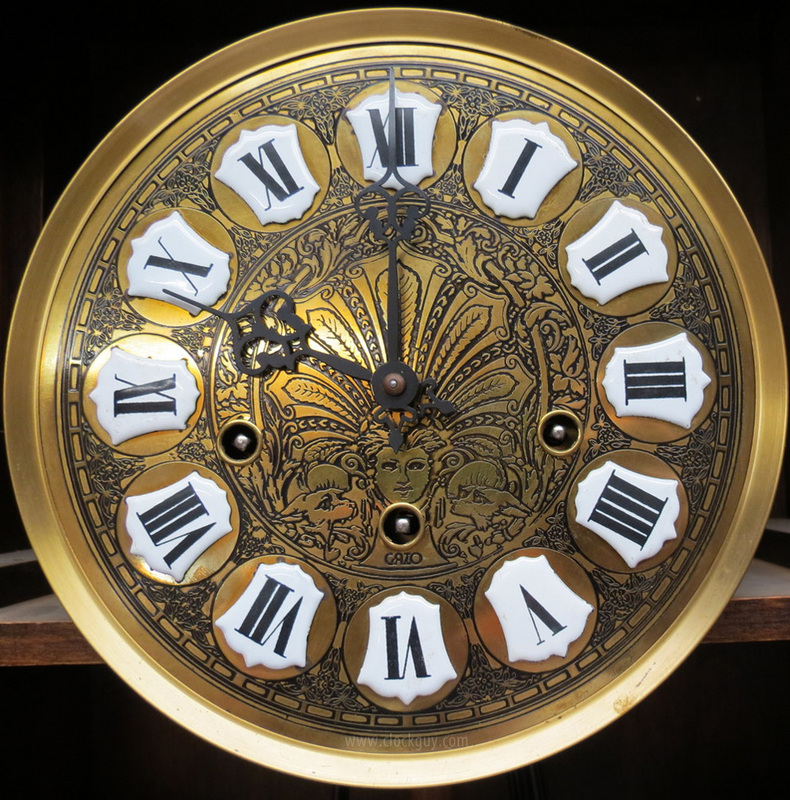 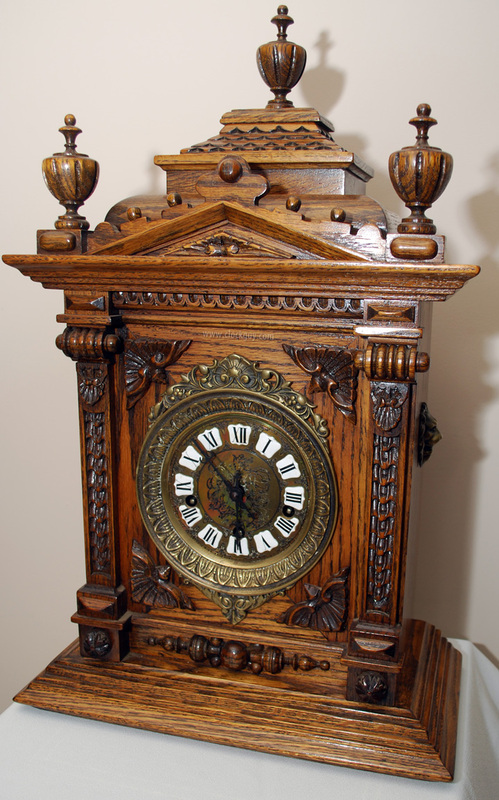 Lou Gazo, who was born May 26, 1920, had an interest in and collected clocks and while his son, Ed, was stationed in Germany as a member of the U.S. Air Force, Lou would send Ed money to purchase antique German clocks. 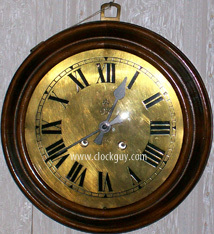 Ed bought clocks and shipped them home to his father who would repair, restore, and then sell them. 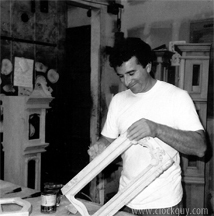 Lou and his wife, Cleo, relocated from Menlo Park, CA, to San Diego, CA, in 1971 where they lived in a colonial style home at First Avenue and Grape Street. That's where I first met him. 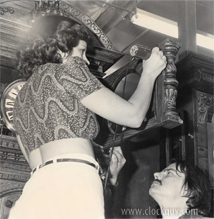 The family lived upstairs while pursuing clock repairs and restoration as a hobby in the shop they had set up in the basement and garage of the house. 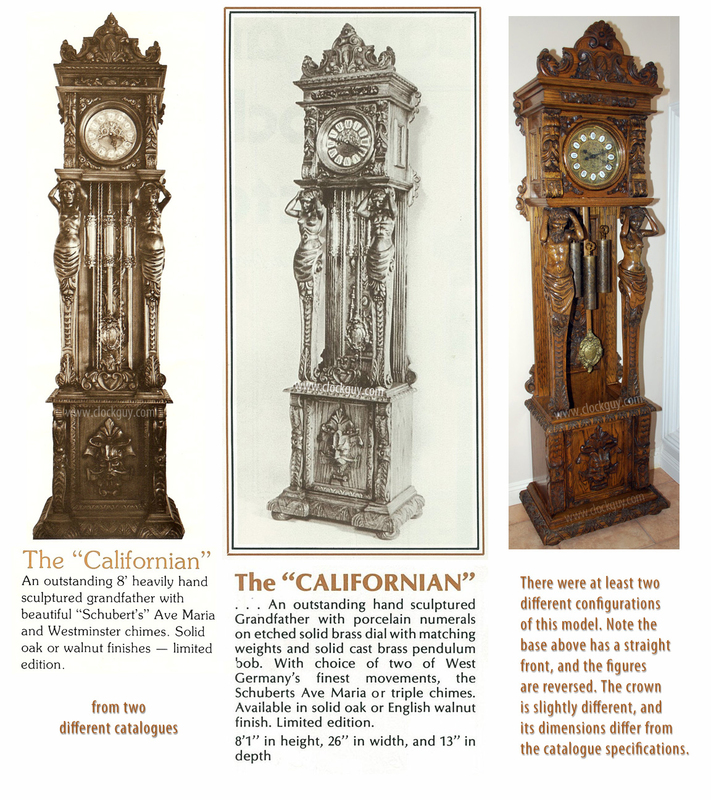 Their hobby expanded by purchasing clocks from the Francis family, who owned a six-story import business and warehouse at Island Avenue and 6th Avenue in San Diego. 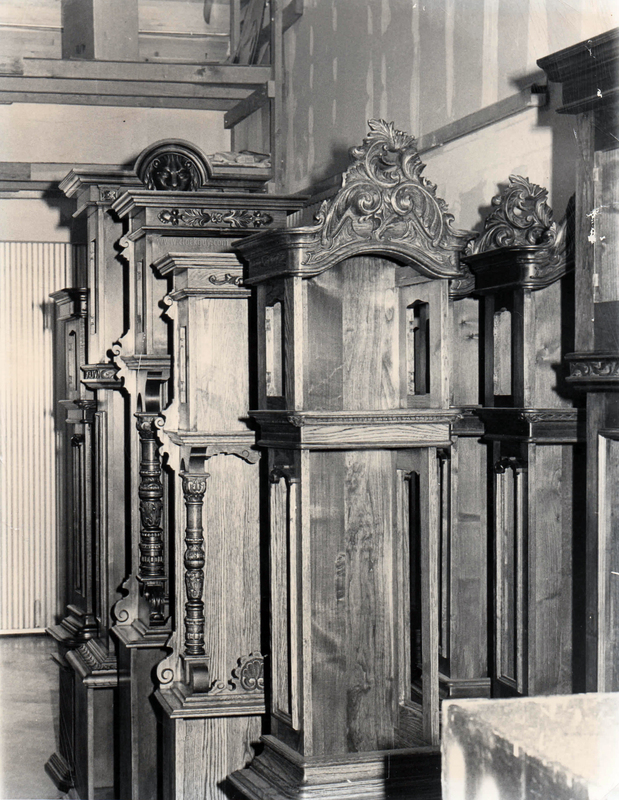 In 1972, their purchases exceeded the available space in their home, so they rented a warehouse on Market Street to store excess inventory. 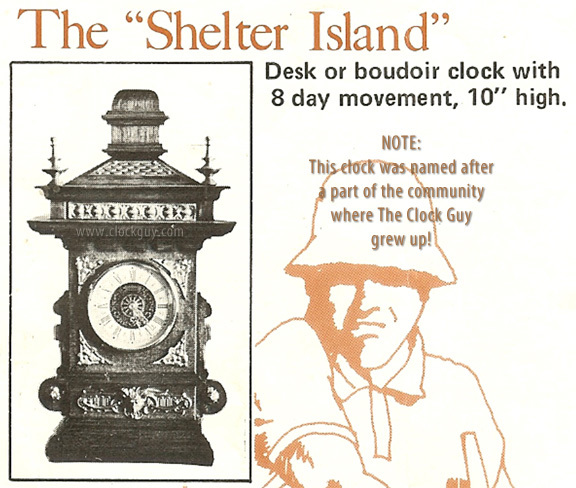 That same year, Ed was honorably discharged from the Air Force and returned to the San Francisco Bay area. 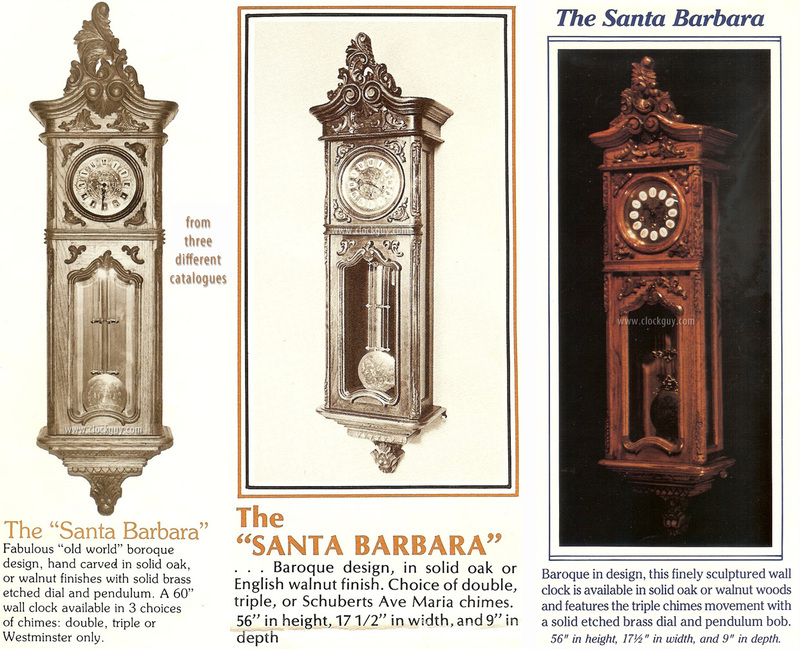 In 1973, Ed and his sister Renee relocated to San Diego, and the family began to entertain the idea of forming a clock company. 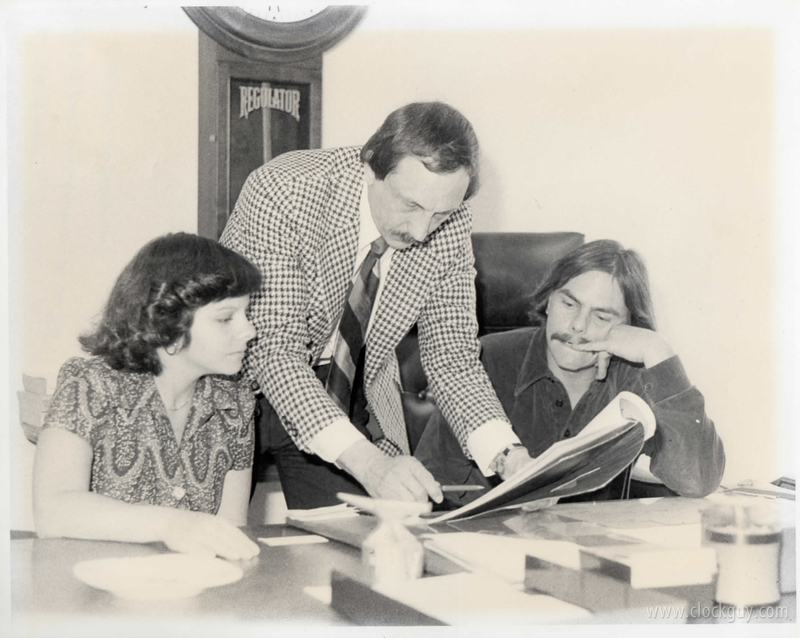 Renee & Ed Gazo (right) with salesman. 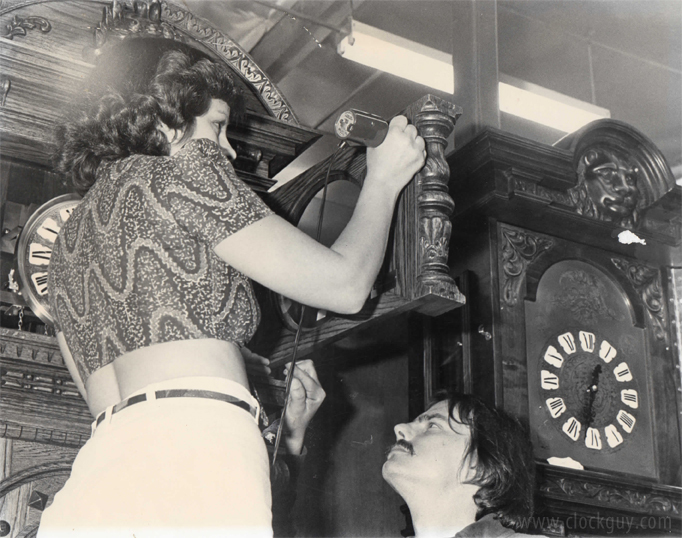 By this time, Lou was running the clock shop and attended to casework repairs and restoration while Ed repaired the movements. 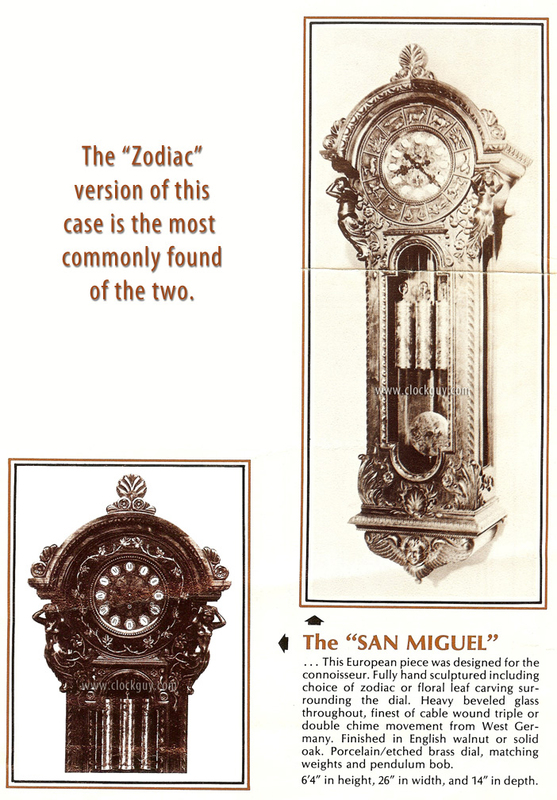 However, they found it difficult to restore some of the ornate carvings on some of the European clocks purchased as imports. 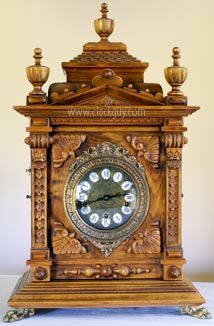 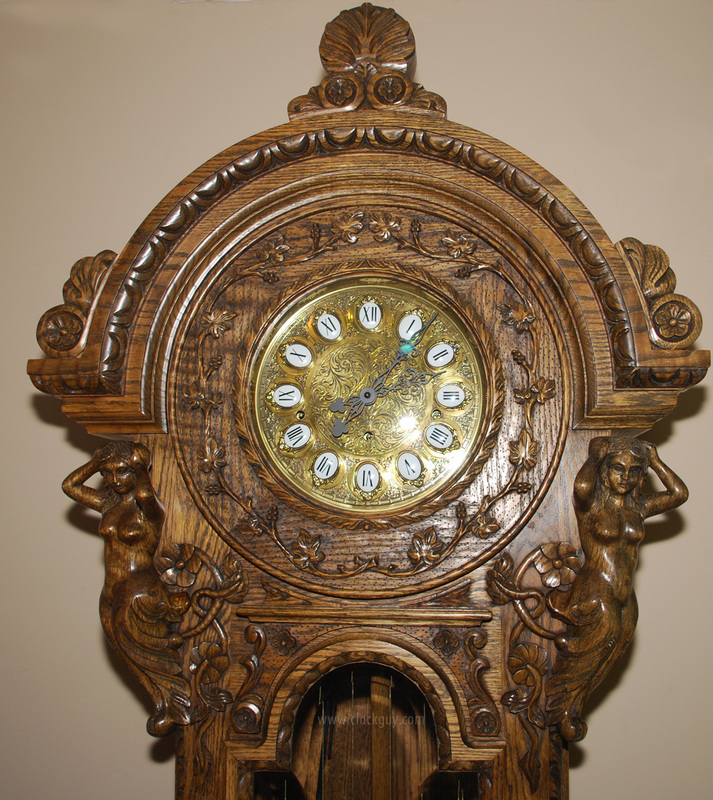 Further, the family wanted to manufacture the entire clock and embellish the case with carvings as found on European-style clocks. 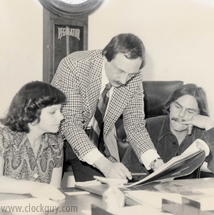 So, in 1973 or 1974, the Gazo Family Clock Factory was formed and transformed the basement hobby clock shop into a family business with Lou and Cleo as the principals. 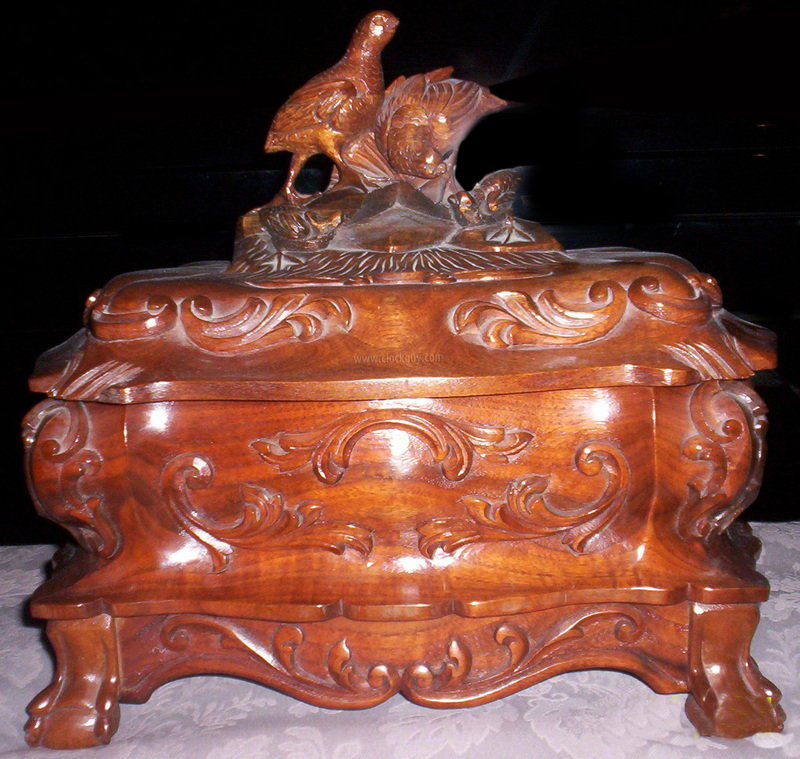 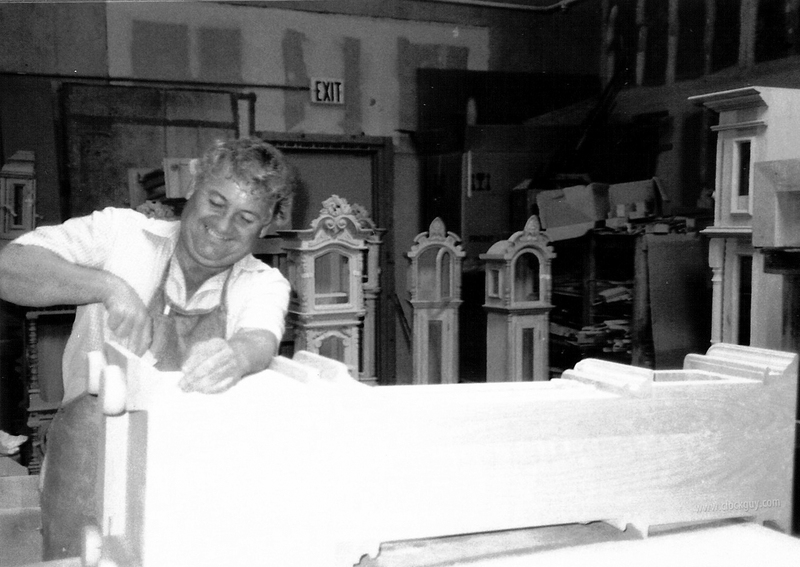 In 1974, Beto Martinez, a businessman from Mexico, approached the company and offered to provide skilled wood carvers. 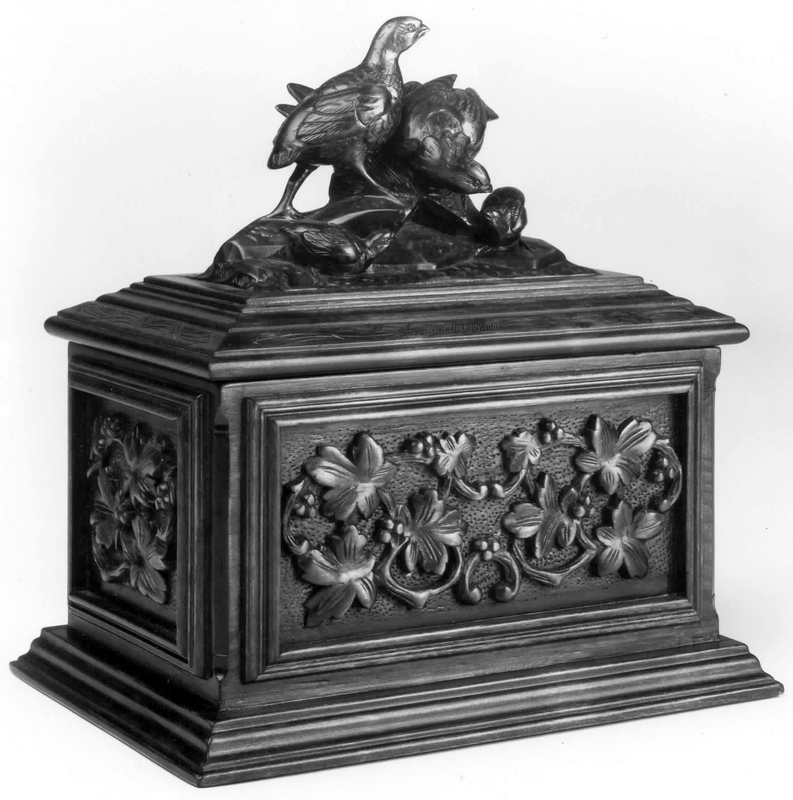 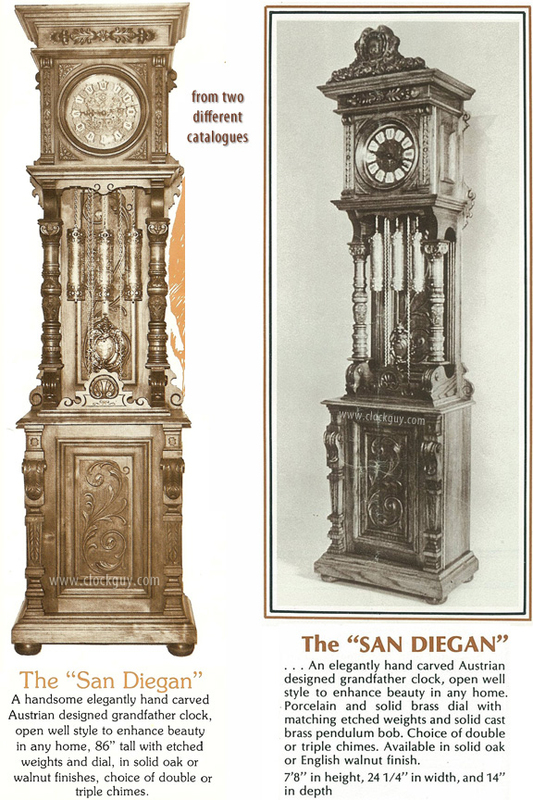 An agreement was reached with Creationes Internationale whereby workers would carve ornate patterns for the company’s clocks, rough assemble the cases in Mexico, and ship the cases to the Gazo factory in San Diego. 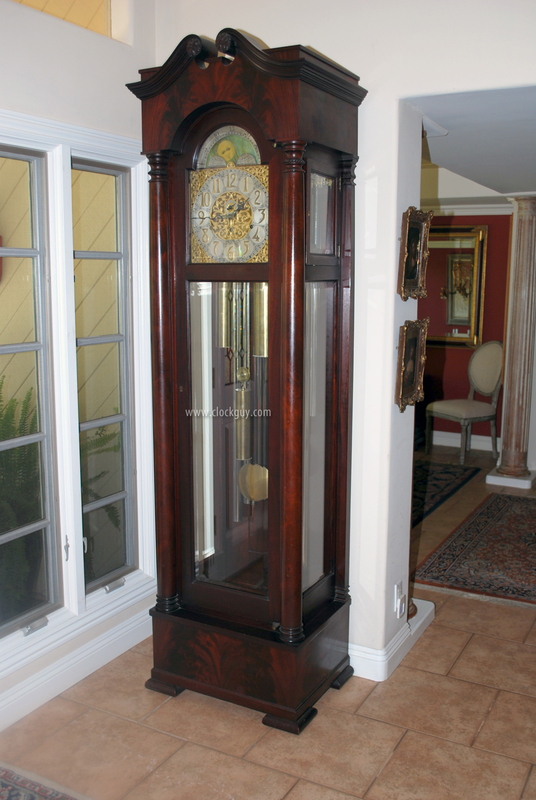 In San Diego, the cases were fine-finished, stained, the solid brass hardware was applied, and the movement was mounted. 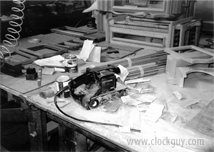 Case production outran the supply of movements and the company removed movements from older, dilapidated cases and used the movements in their own cases. 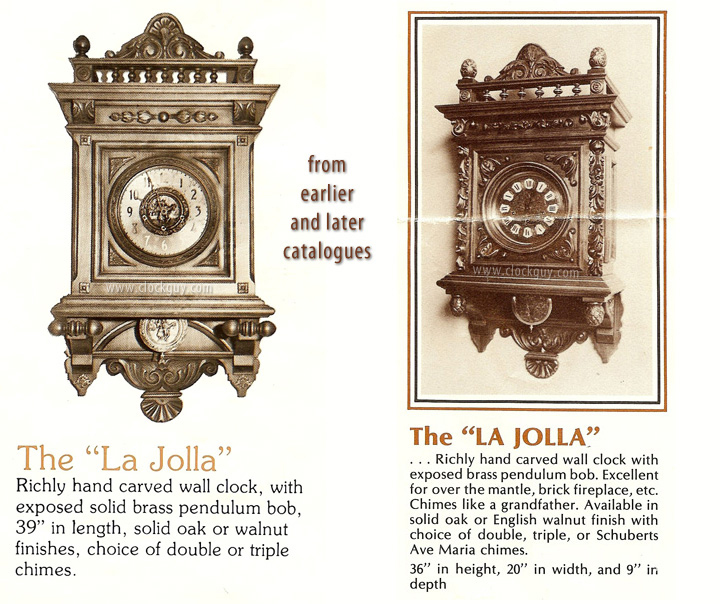 Also that year, the company was approached by the German firm, G. Jauch, who proposed that Gazo use Jauch movements in their clocks. An agreement was reached and the Jauch movements were soon in use by the firm. 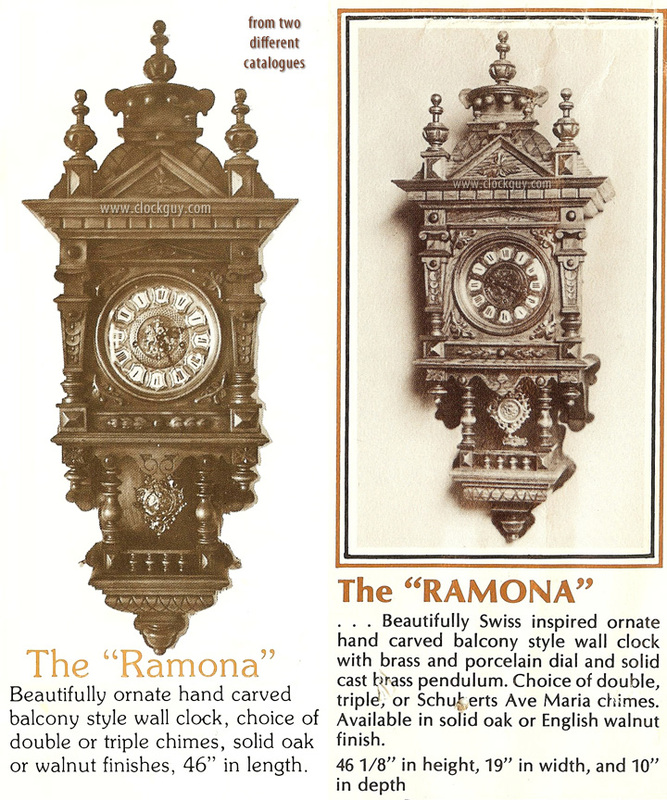 Later on, the firm also used Keininger movements in its larger wall and floor-standing models. In 1974 or 1975, the company was incorporated and the name was changed to The Gazo Family Clock Factory, Inc. At about this same time, they relocated from First and Grape streets to near the corner of 10th Avenue and "G" Street in San Diego. 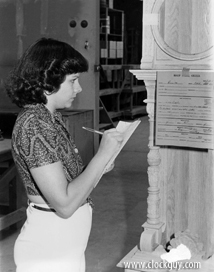 The company remained in this facility for about three years and subsequently continued to store cases and inventory there after relocating to National City. 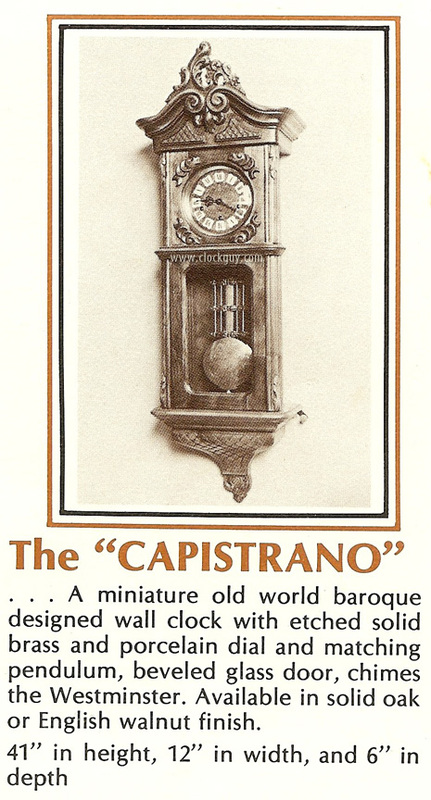 Gazo clock dials began as off-the-shelf items, but eventually they became unique. 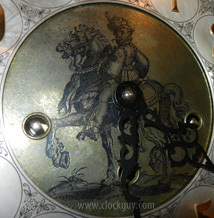 Art Connors, a photo-etch lithographer, began to etch the company’s dials that were initially based on 16th Century art and designs. 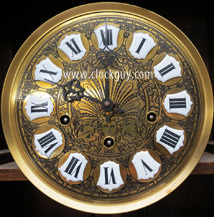 This proved to be very intricate and overly detailed so they simplified the dial patterns. 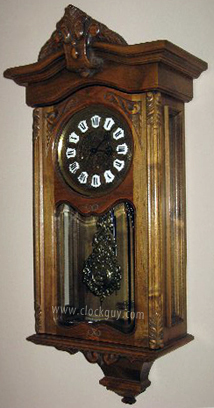 Eventually, the dial design was also etched into the weight tubes and pendulum bob. 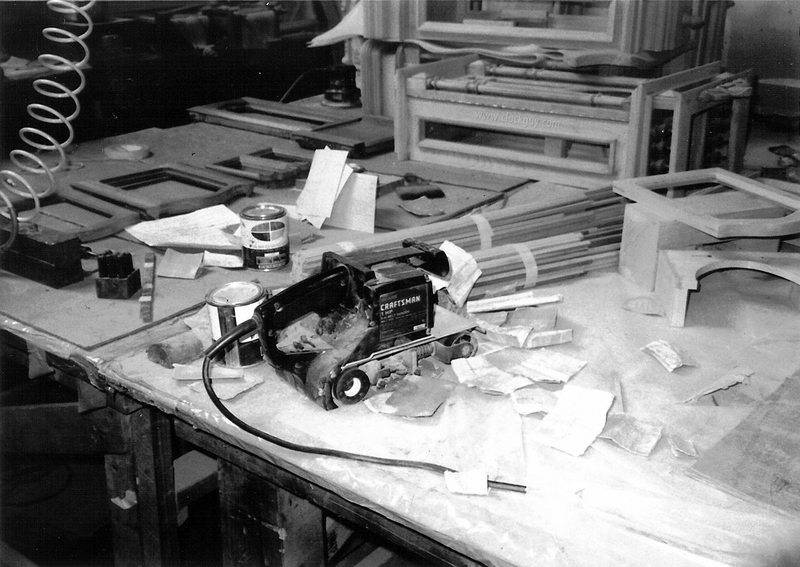 The Connor shop was located near the company’s 10th and G street facility. 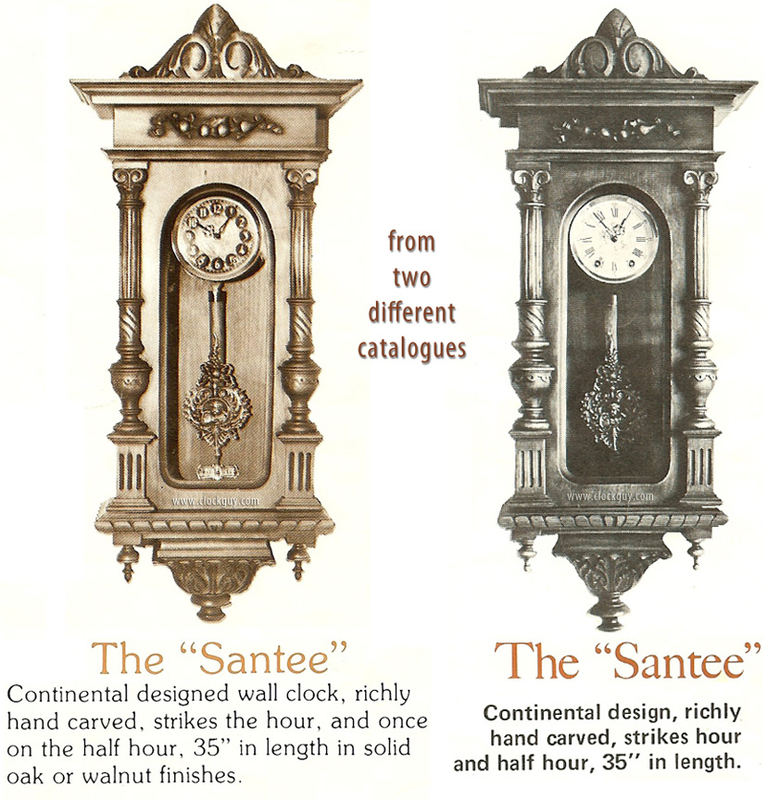 In 1976 and 1977, the company reached its zenith. 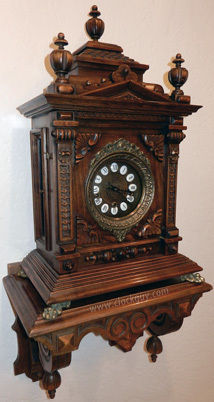 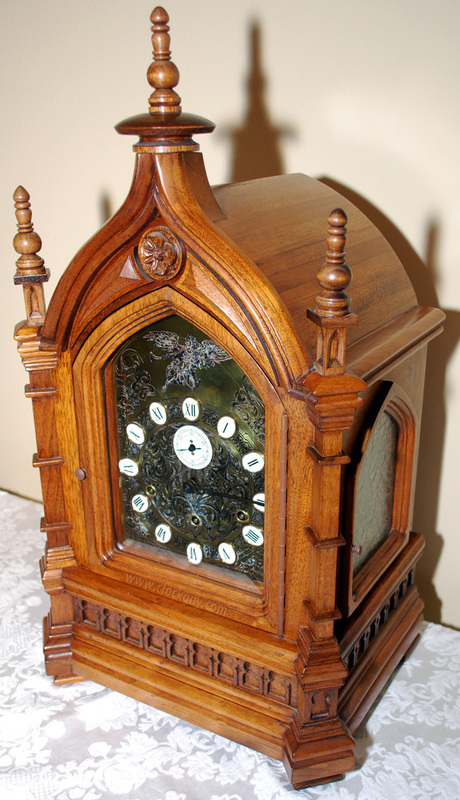 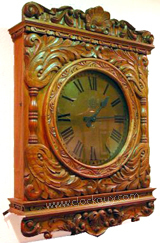 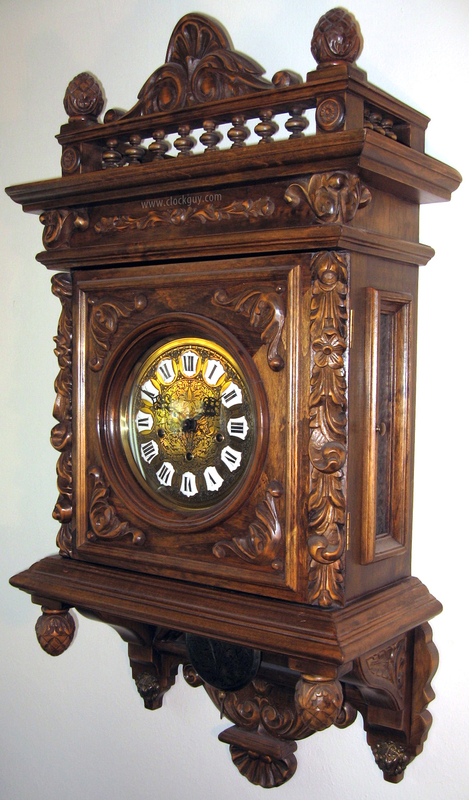 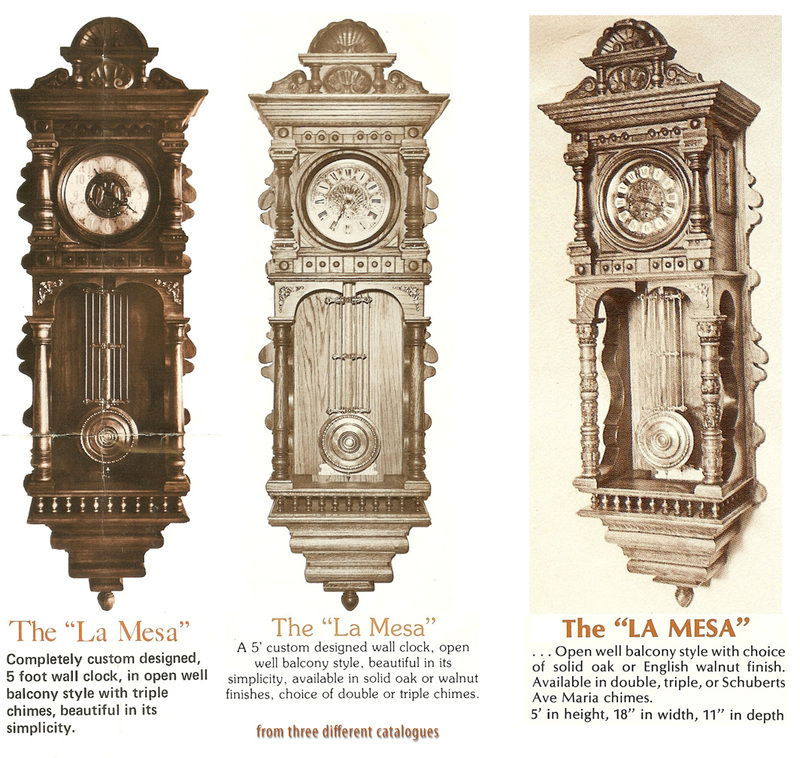 It had shops in Mexico manufacturing cases with elaborate woodcarvings and a sales team in Dallas, Texas, who marketed their clocks to a network of dealers such as "The TimePeace", who operated retail stores in Carmel, San Francisco, and La Jolla CA. 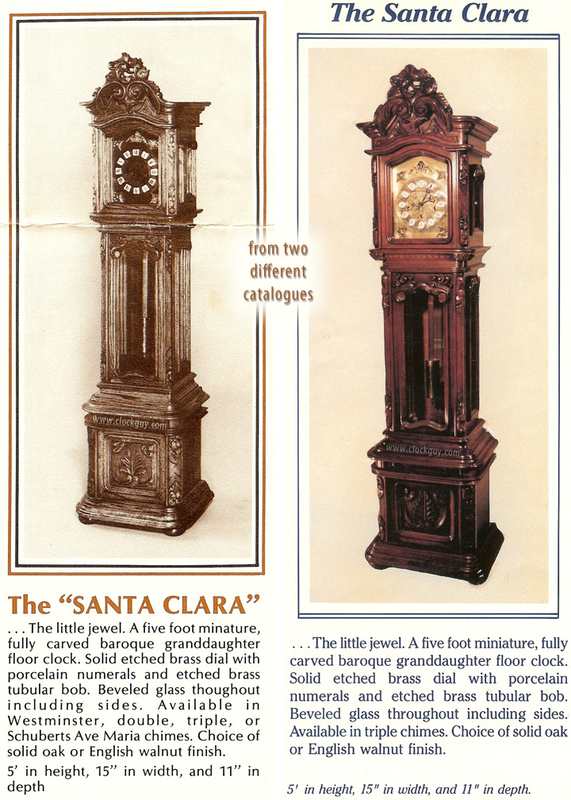 The firm managed to sell all of the models they manufactured and were realizing annual sales of about $2.2 million. 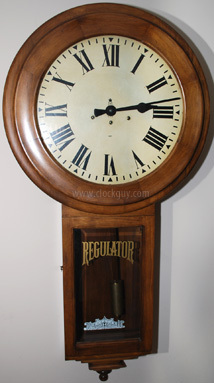 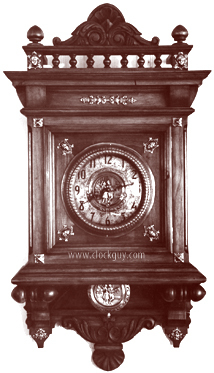 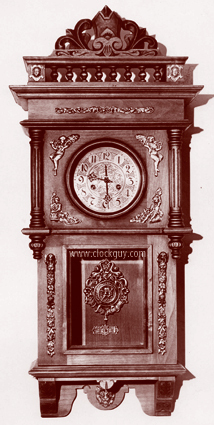 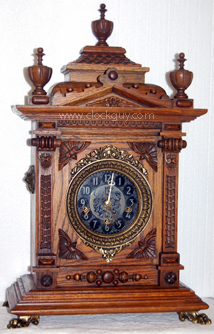 However, the clock industry in general began a slow downturn and sales began to drop. 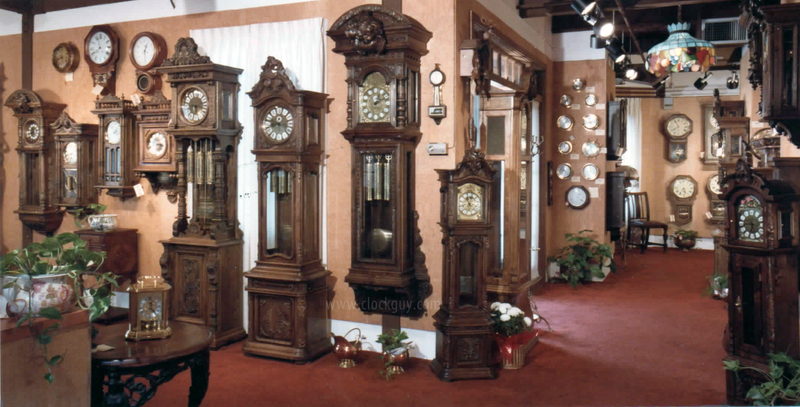 In order for the customer to get more without raising prices, Gazo released its sales team. 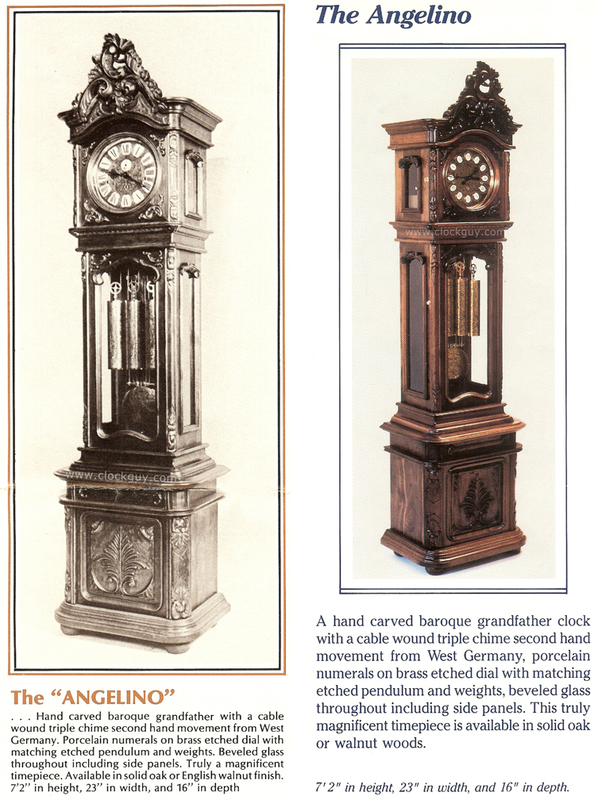 By this time, the company was also using Urgos and Kieninger movements in their clocks. 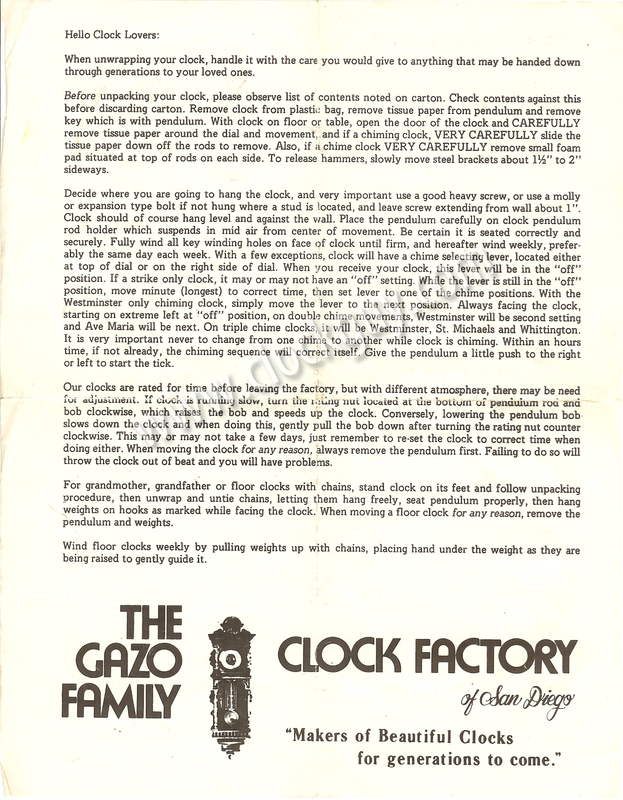 Gazo also introduced a unique clock during this time. Following the hour strike, the mechanical mechanism tripped a battery powered 50- or 144-note Reuge music box mechanism that played its tune a single time and then stopped. 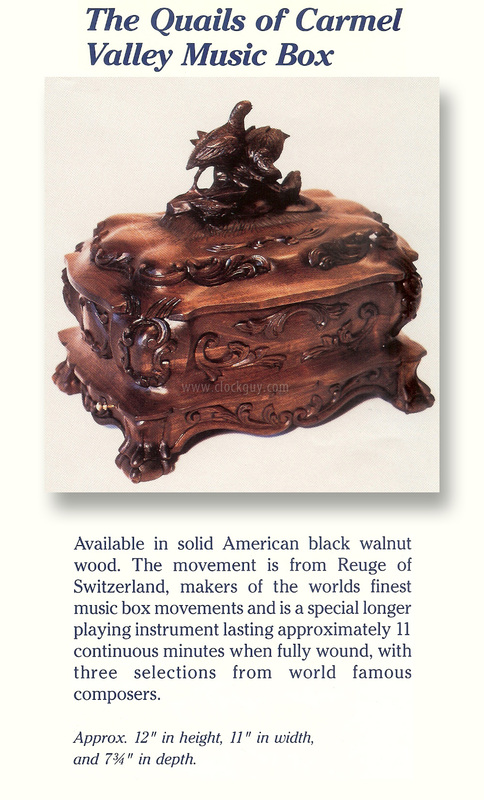 The entire production run of this model was quickly sold. 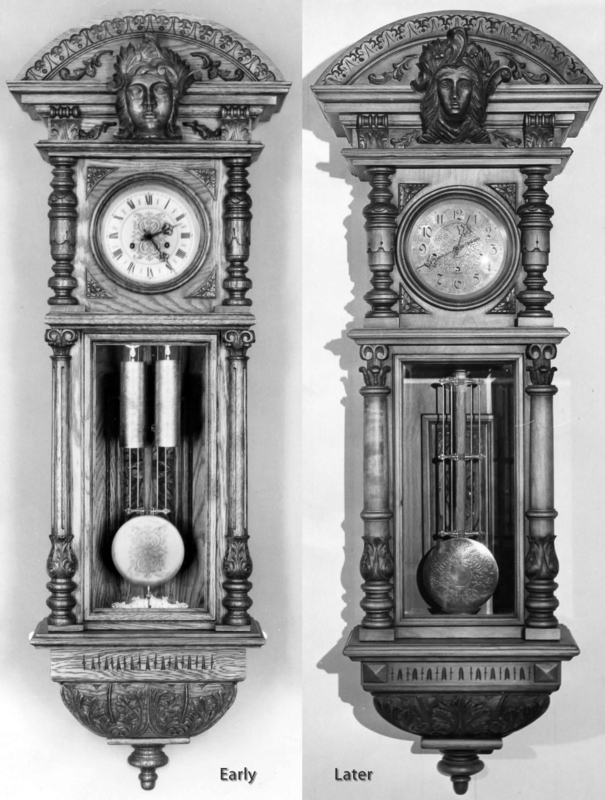 The 50-note mechanism added about $500 to the initial retail price while the 72-note version added up to $1,400. However, due to increasing expenses for materials and labor, the company needed additional capital by 1979. 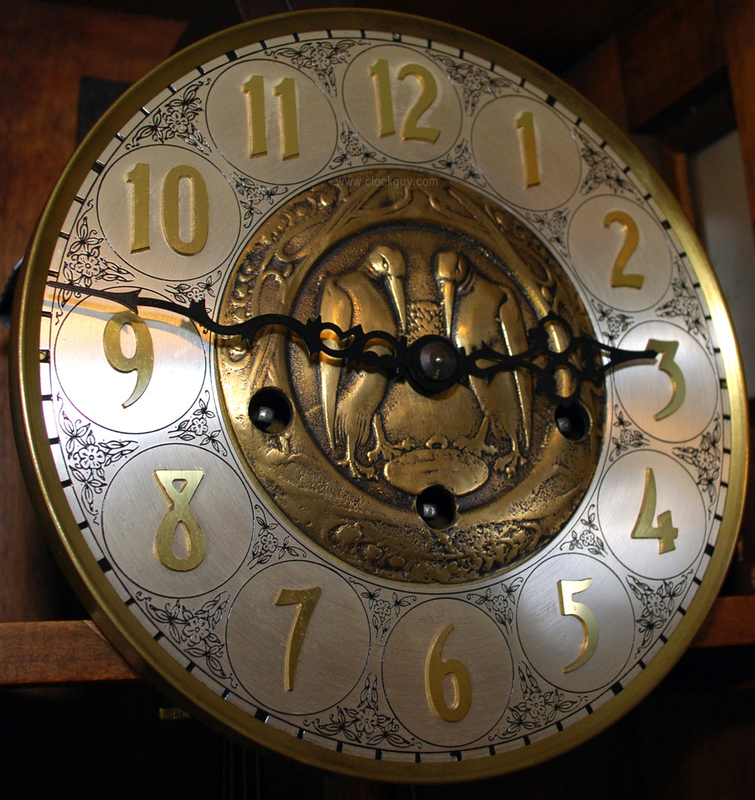 A Small Business Administration loan was secured and, as part of the loan agreement, a time and efficiency study was conducted. 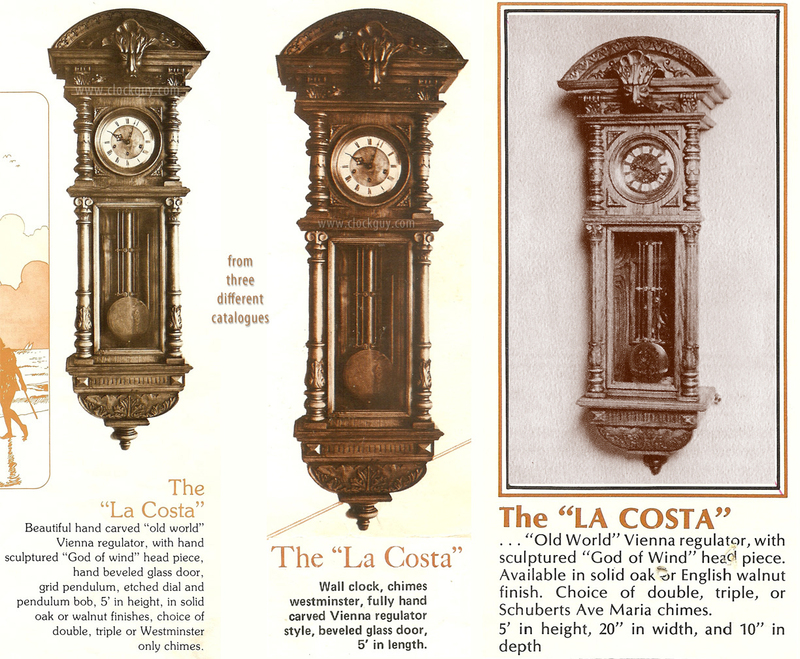 The study concluded that three-quarters of all manufacturing operations were losing money and, as a result, the prices of the clocks were increased. 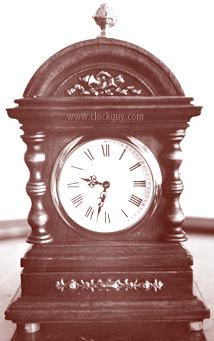 The clock industry, in general, continued its downturn and the company’s sales slipped further. In 1978 or 1979, the company relocated to 26th Street in National City, near Interstate 5. 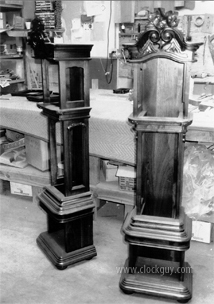 They were located in an industrial park and operated out of several sequential units within the complex. 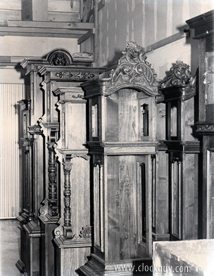 Each suite was set up to be a specific function in the production line. The company hired and trained workers for the cabinetwork and movement installation, as well as skilled clockmakers when they could be found. In 1982, Lou Gazo retired and Ed Gazo became president of the company. Seeking more financial backing, Dr. Art Thomas, a La Jolla anaesthesiologist, and his wife, Judy, contributed money to the company, becoming partners. 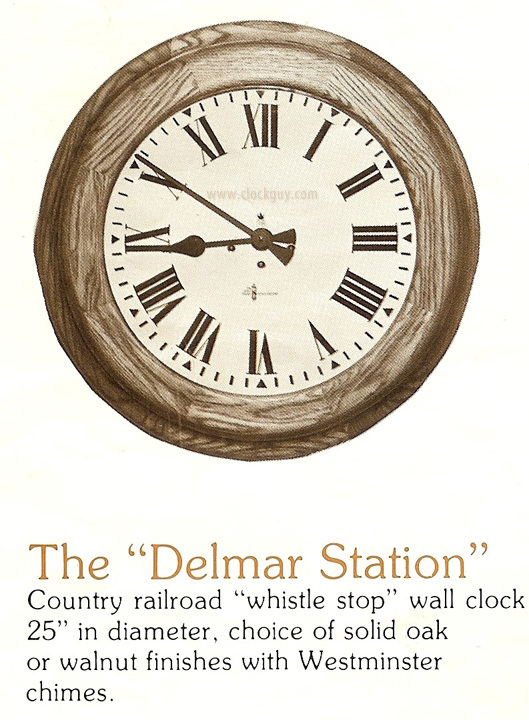 In 1983, Thomas, his wife and two sons purchased controlling interest in the company. 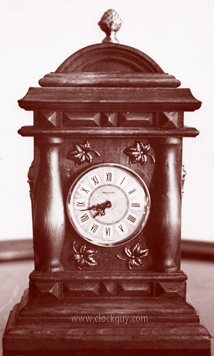 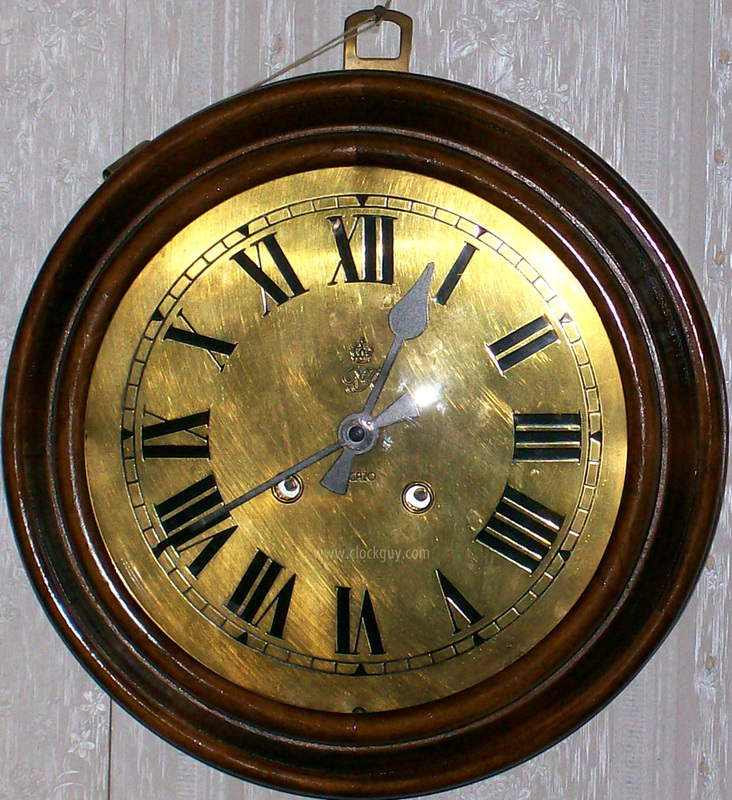 The Thomas sons were trained in clock repair by Ed Gazo and Art Thomas assumed marketing and sales responsibility for the company. 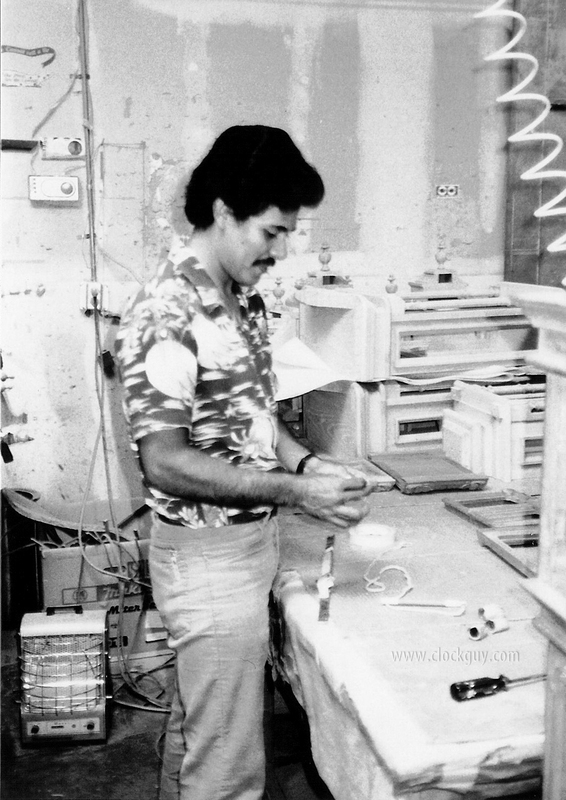 He also owned and operated Gazo showrooms in Scottsdale AZ and Beverly Hills CA. 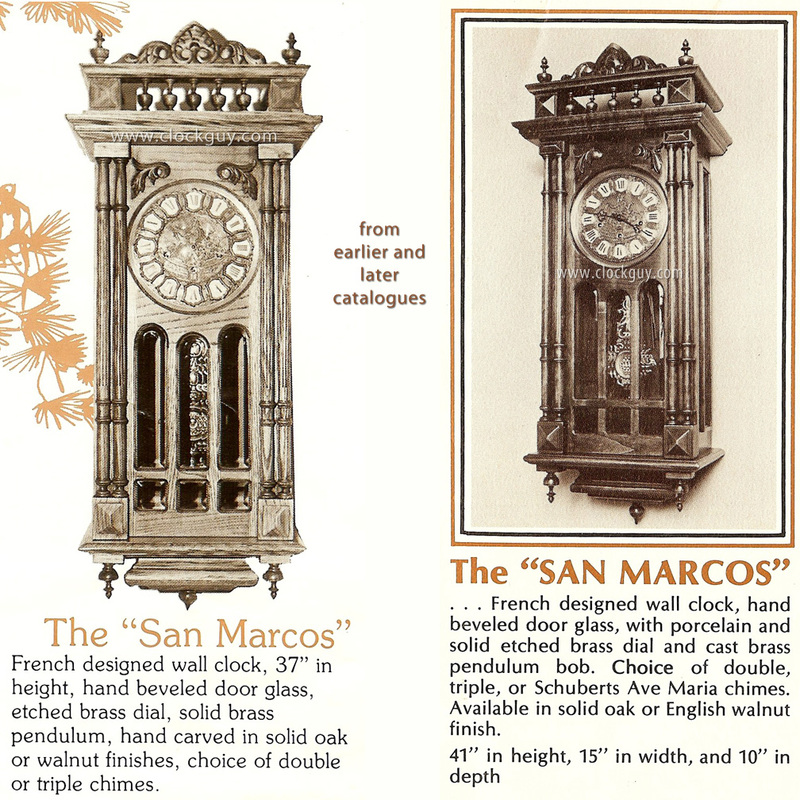 Prior to 1986, the company’s clock cabinets were all unique, depending on the movement style. 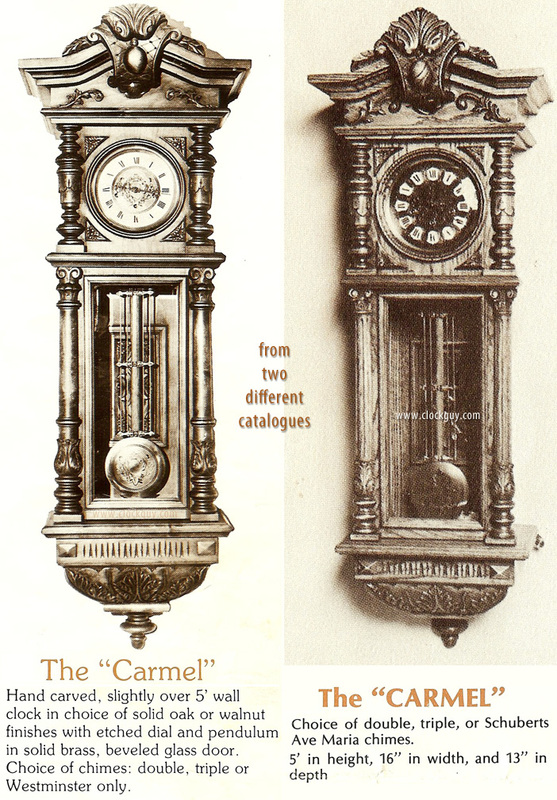 Beginning in 1986, the company standardized its cabinets to accept any particular style of movement. 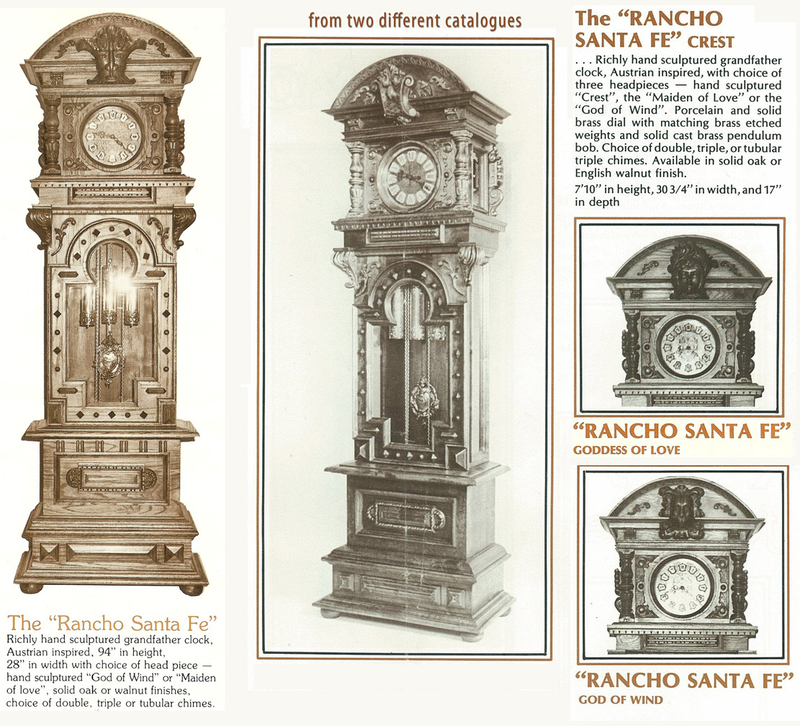 With the exception of the Palo Alto and Santa Barbara models, whose cases were manufactured in the shop of "Salvador" in Tijuana (who did extremely high quality work), all cases made during the era when the Thomas family owned and operated the company, were made in the National City factory. 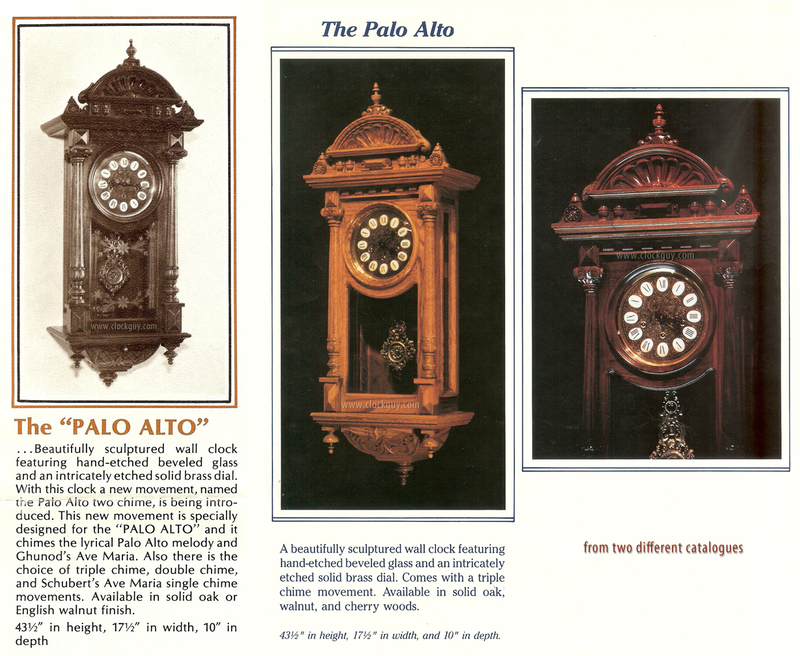 However, sales continued to drop and in 1988, Ed Gazo, the remaining Gazo family member, who had become a salesman, left the company. 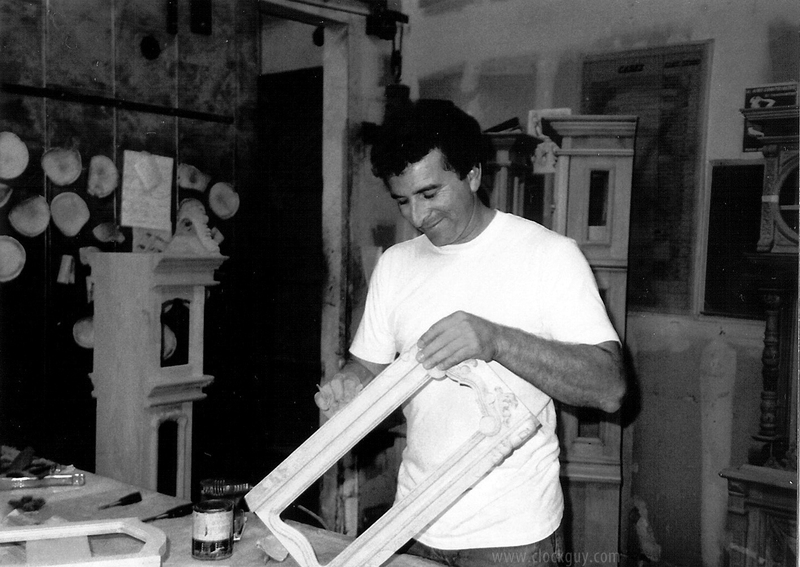 In 1989, Art Thomas died suddenly and a few months later the factory ceased operations. 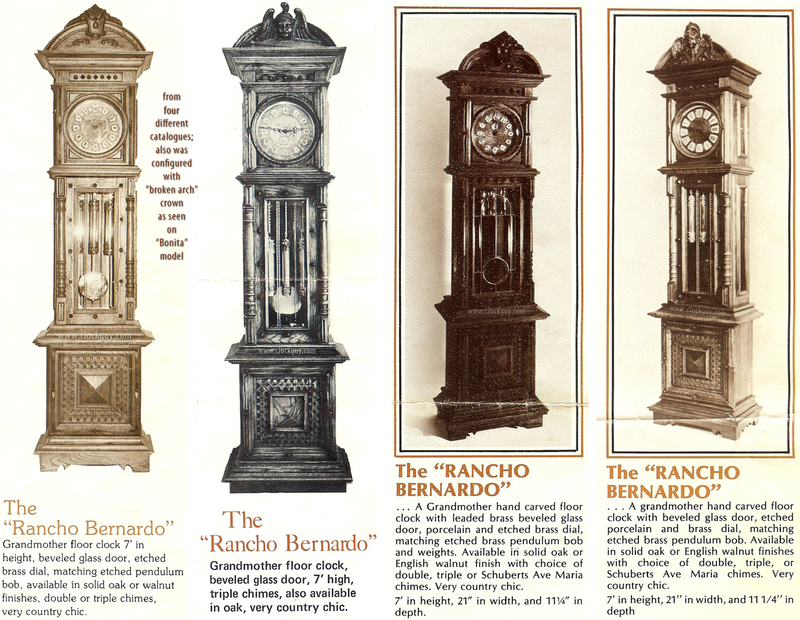 The company manufactured no special orders and produced 10,000 standing, wall, and mantle clocks in 53 different models, as well as two styles of music boxes that featured 72-note Reuge movements. 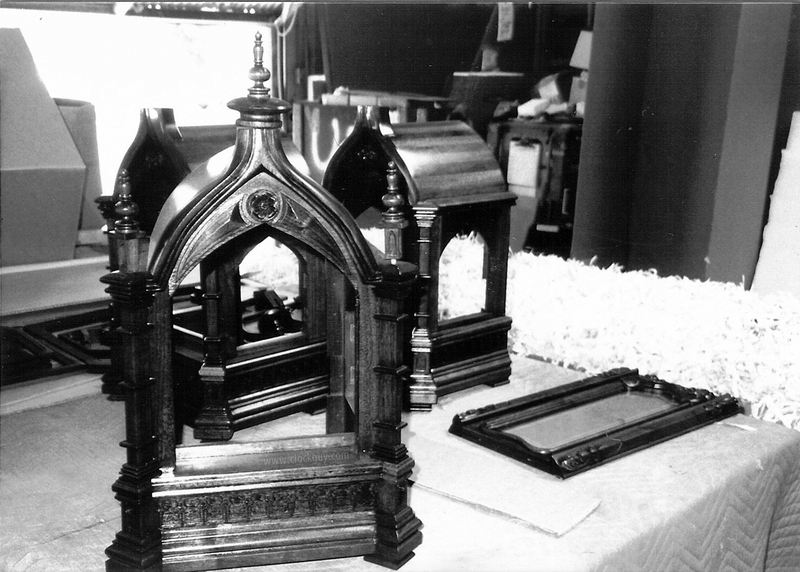 January 2013: Met with Judy Thomas and two of her family members. 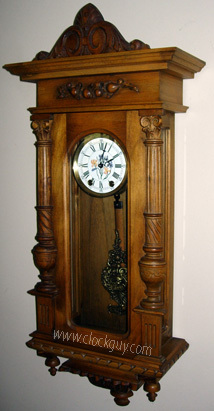 She is enjoying her retirement and her grandkids! 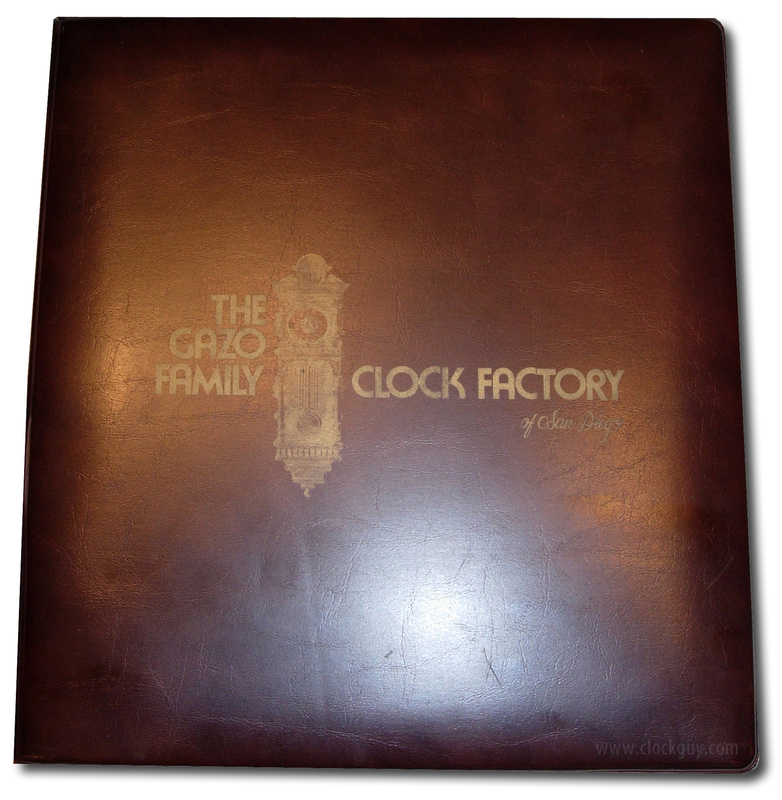 who are seeking your Gazo clock. 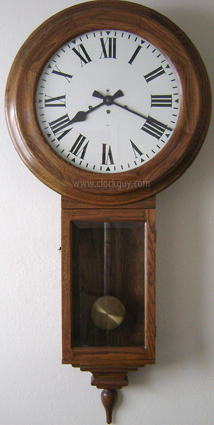 if you have a Gazo Clock for sale. 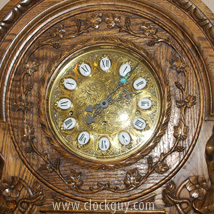 Have photos of Gazo clocks not pictured here? 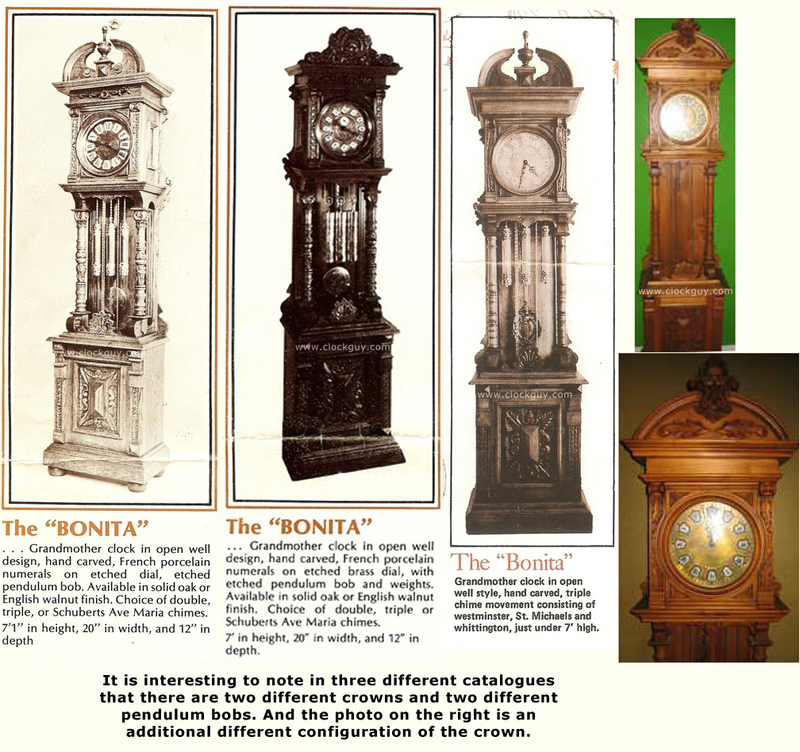 (or better ones) to share with us for our reference library, please contact us to make arrangements to e-mail the photos to us... thanks in advance for helping your fellow collectors! 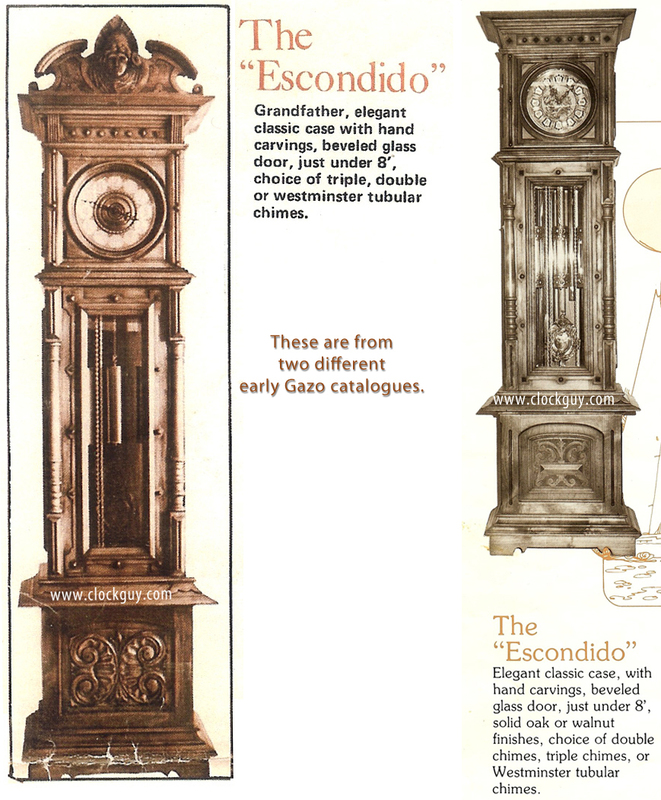 Have old Gazo catalogues, other promotional materials, dealer materials/price lists? 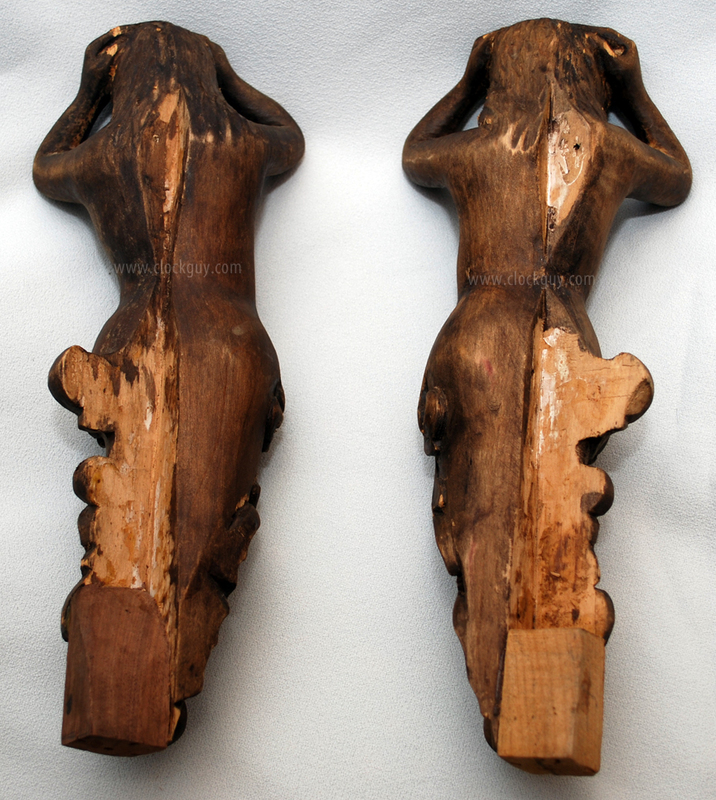 We can use them as well. 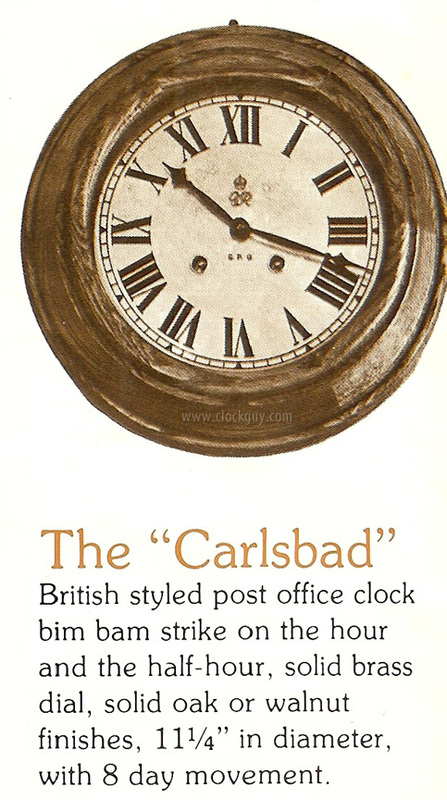 You could mail them to us, we'll scan and return... or you could get rid of some old clutter and just "donate" them to us knowing the information will be added to what's available here in our Antique Clocks Reference Library so it's available to Gazo fans all around the world! 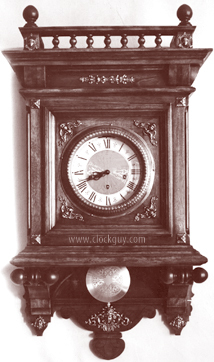 Because we are continuously contacted by people who wish to sell Gazo clocks, we have established a special Gazo Clocks For Sale page on our website. 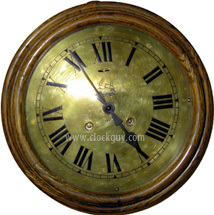 Unfortunately for most prospective buyers, these clocks are sold before they even get posted to that page because our WANTED list tells us who is searching for them at any given time. 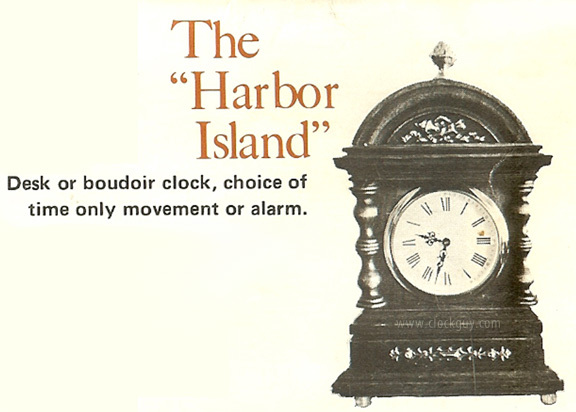 You can be on that list, too. 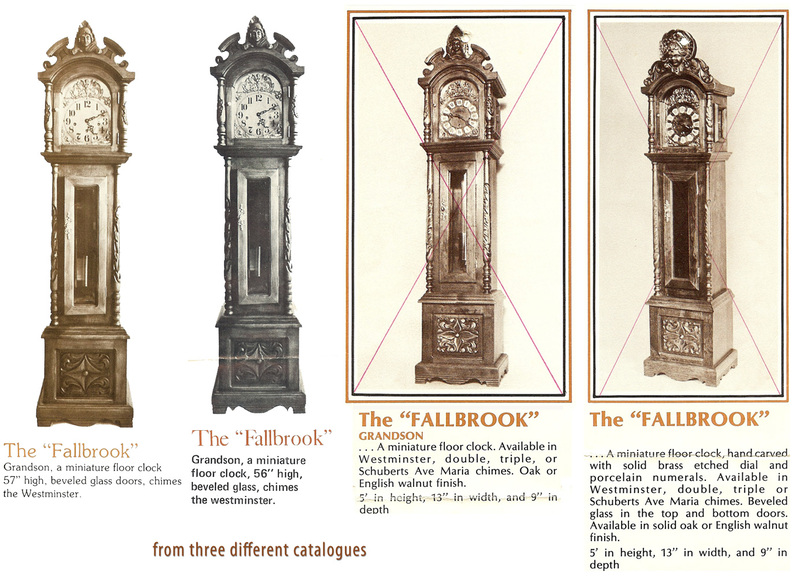 let us know what you are seeking to purchase and: we'll notify you when one comes along! 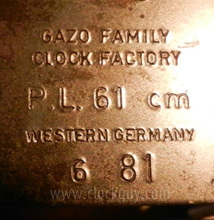 Gazo "XG" clocks were late in the production cycle and not much is known about them. 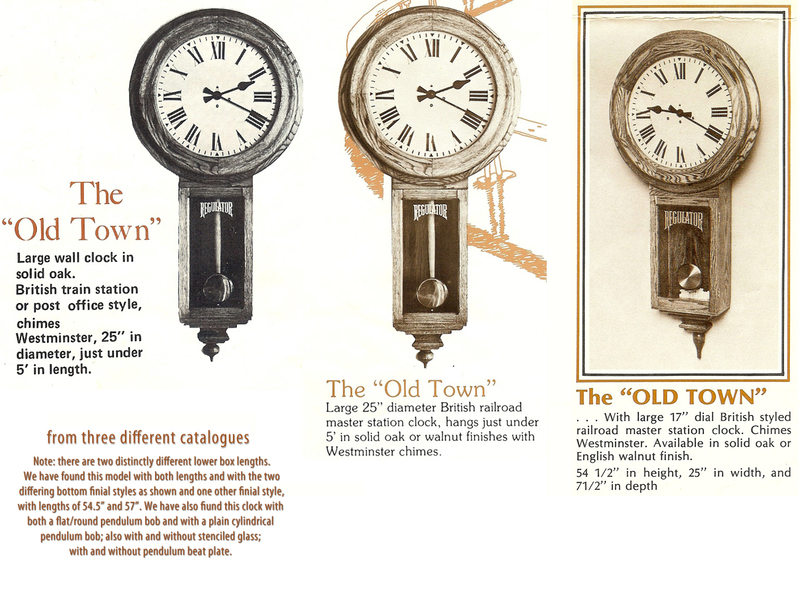 We are searching for printed catalogue materials and better photos. 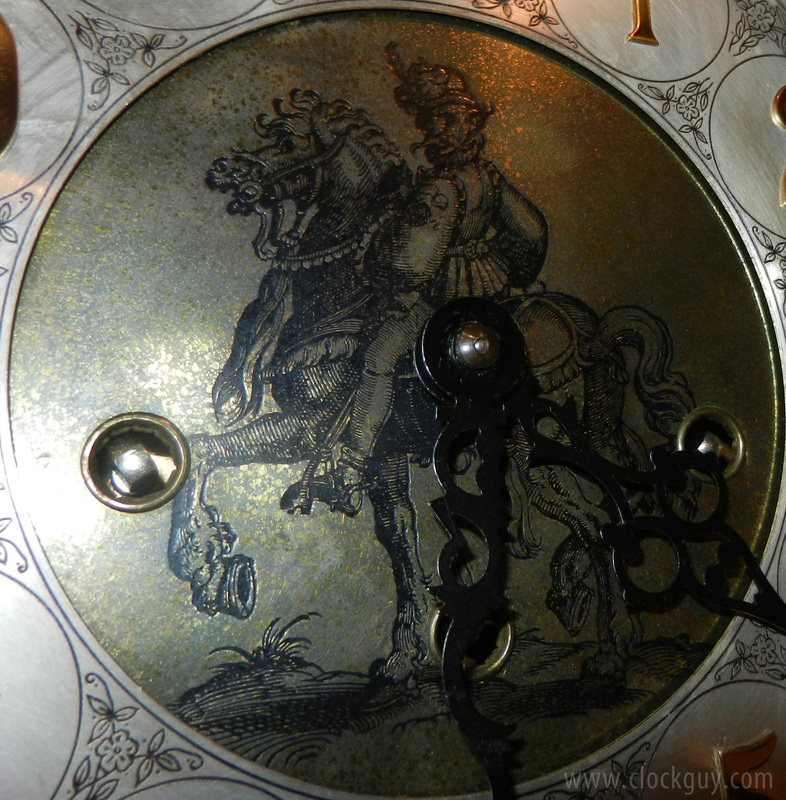 If you happen to have access to them and are willing to share, we will post them here. 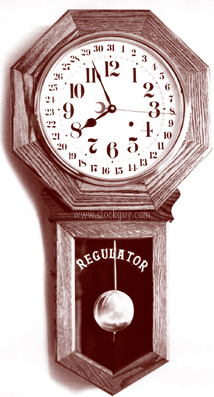 Regulator No. 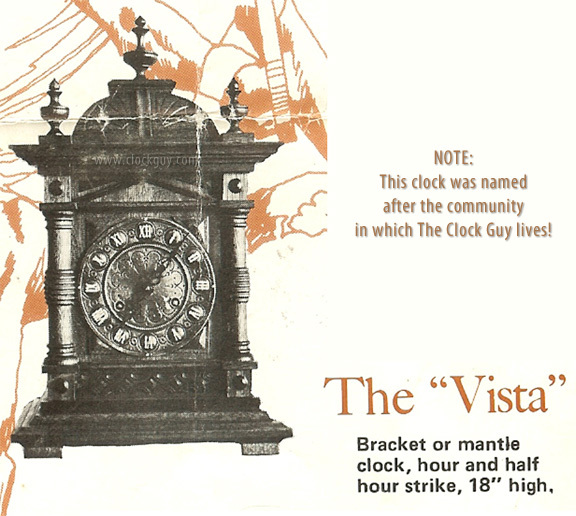 67 built by another firm of the era). 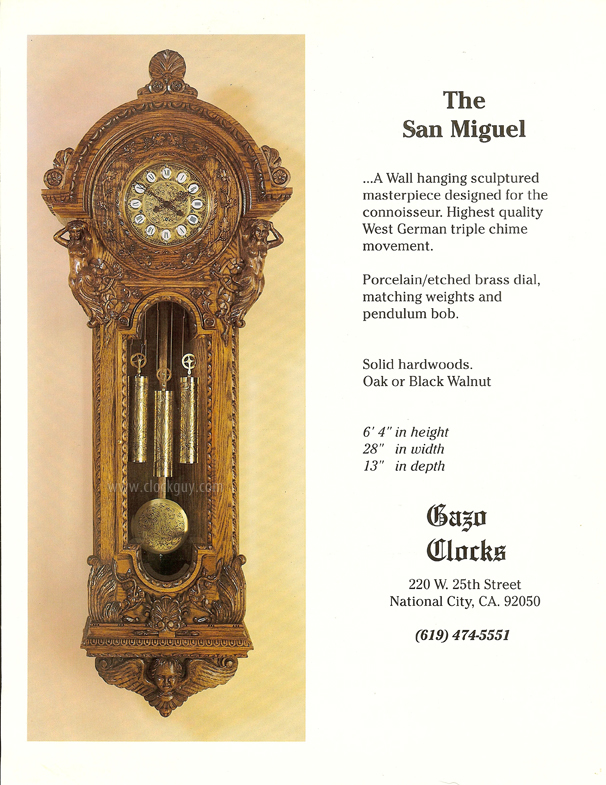 Note Regarding Gazo Cast Brass Pendulums: Several times each year we are contacted by people who have a Gazo clock that is that is missing its cast-brass pendulum, either from one of the smaller models (San Marcos, Coronado, Palo Alto, Ramona) or from one of the tallcase models with the angel bob. 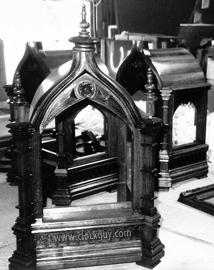 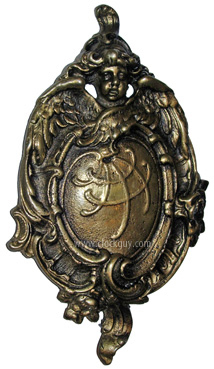 We took the bobs you see below to an antiquities casting professional who made molds of each. 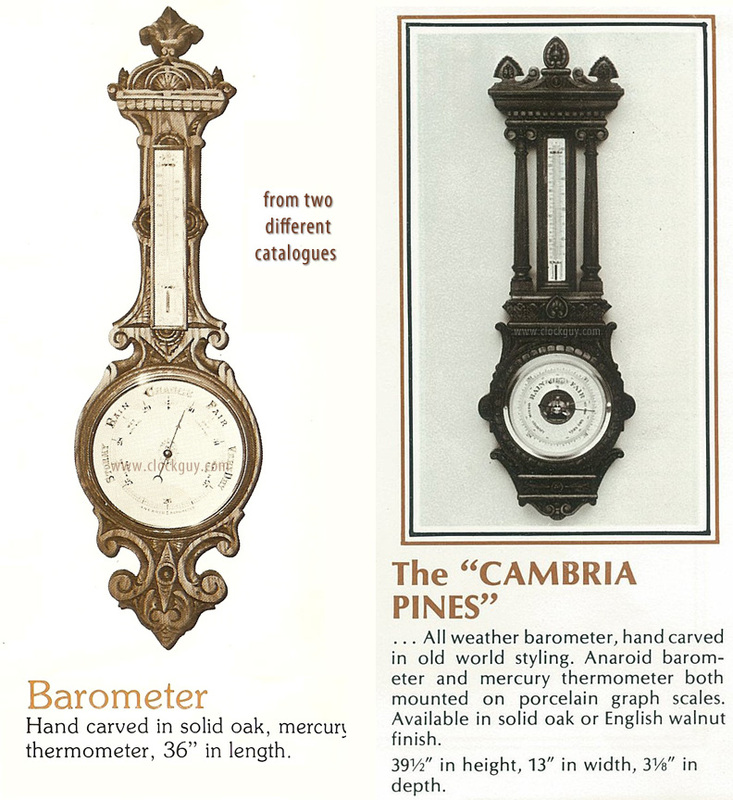 If you happen to be one of those people who need assistance with either of these two pendulums, please contact us directly. They are not inexpensive by any means, but are faithful copies of the real thing. 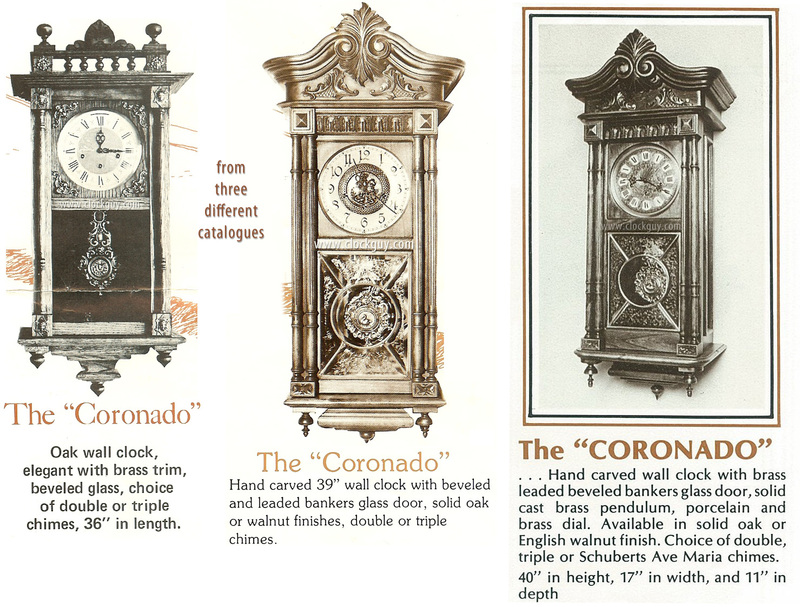 Unfortunately, we have no practical way to replace ether the round, etched pendulum bobs, or etched or stamped weights. 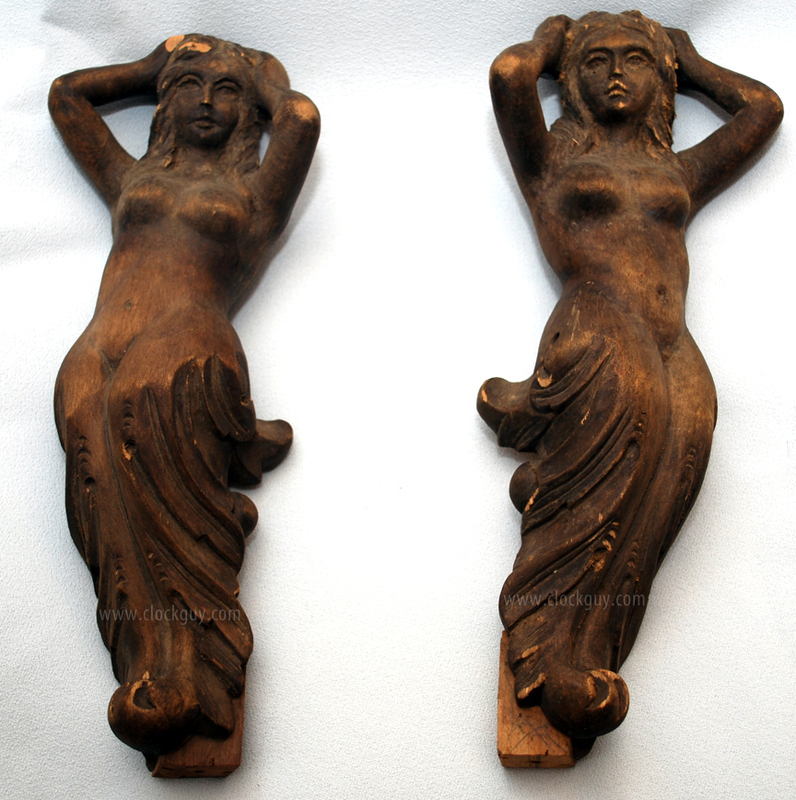 We also have found a couple of original cast brass bobs, so let us know if you need one. UPDATE: We have located several original castings of both of the pendulum bob styles below and they are now available and physically in our possession. Please call to discuss: seven 6 zero-604-zero 2 six 2. 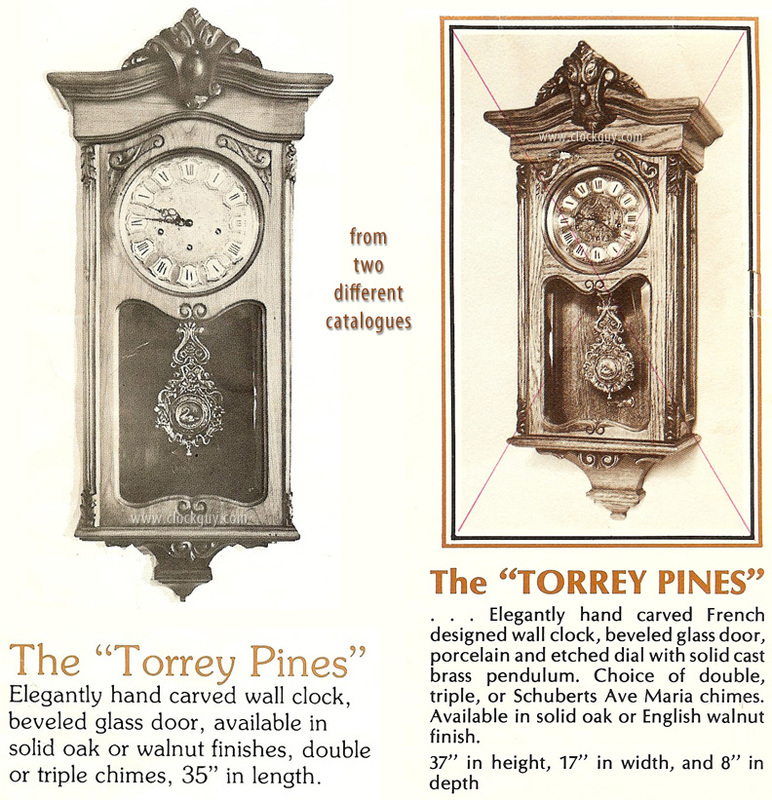 As you might imagine, these are not inexpensive. 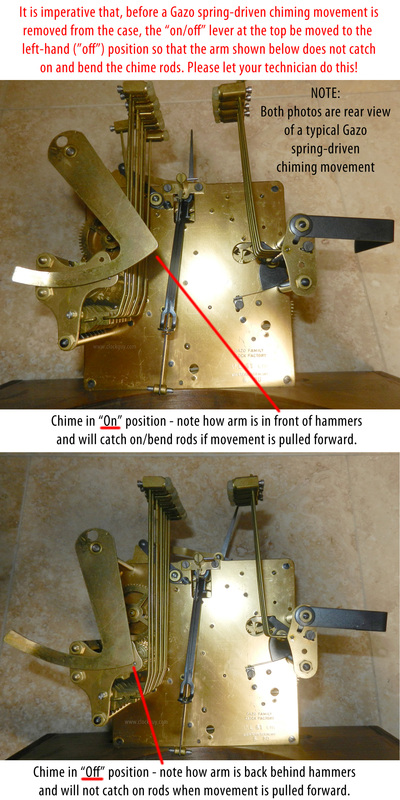 Note Regarding Gazo Movement Repair: We have an expert technician who knows Gazo movements thoroughly and can repair most things. 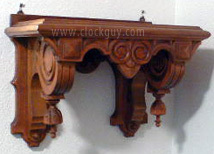 Let us know if we can assist. 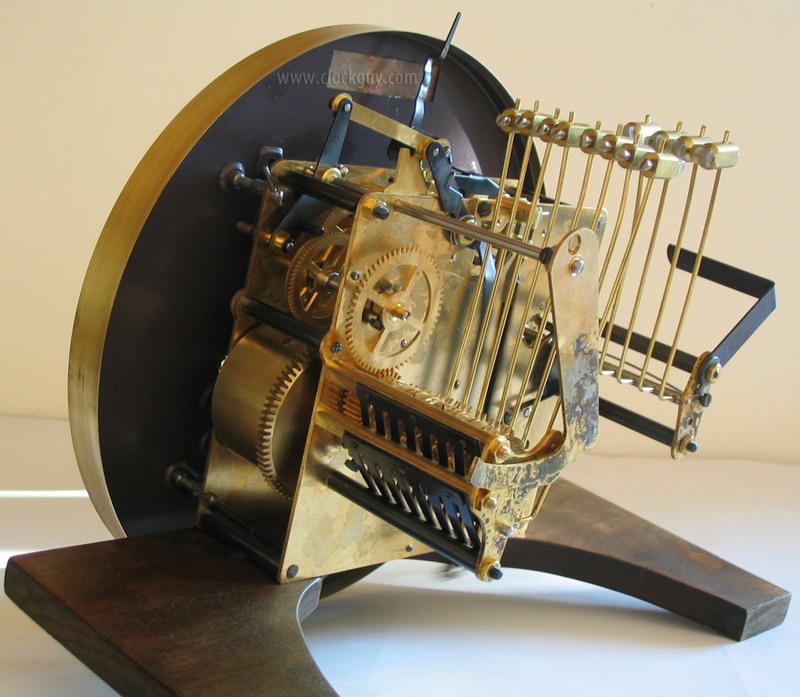 Note Regarding Gazo Music Box Repair: We occasionally hear from a distressed Gazo owner who has a dead music box (sometimes it's just the batteries). 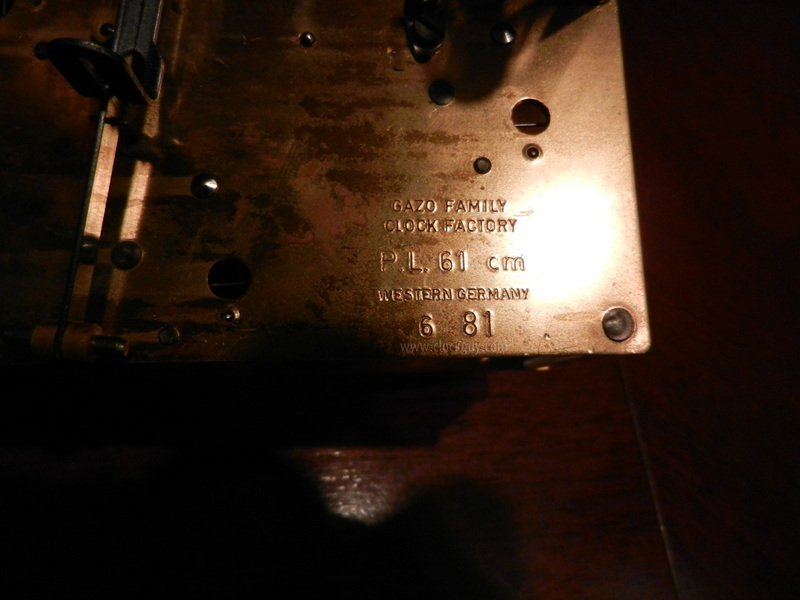 The Reuge Company is out of business and there are no parts. 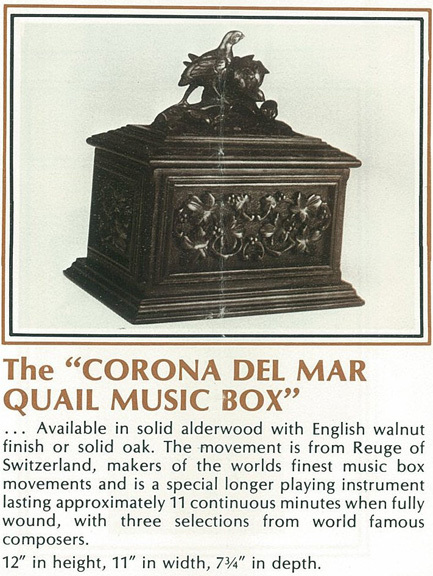 BUT... and here's the exciting part... if the motor in your Gazo/Reuge music box is burned out, our technician may be able to replace it; supply varies. 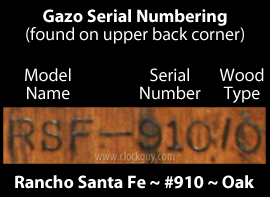 Again, we have an expert Gazo repair department. 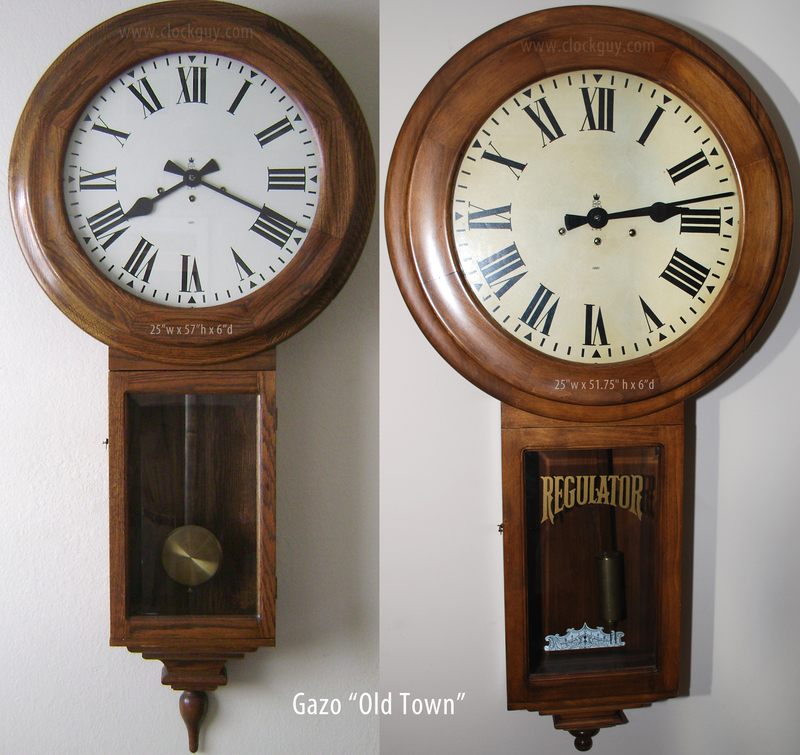 Let us know if you are no longer hearing beautiful music from your Gazo music box or if your clock requires mechanical service!